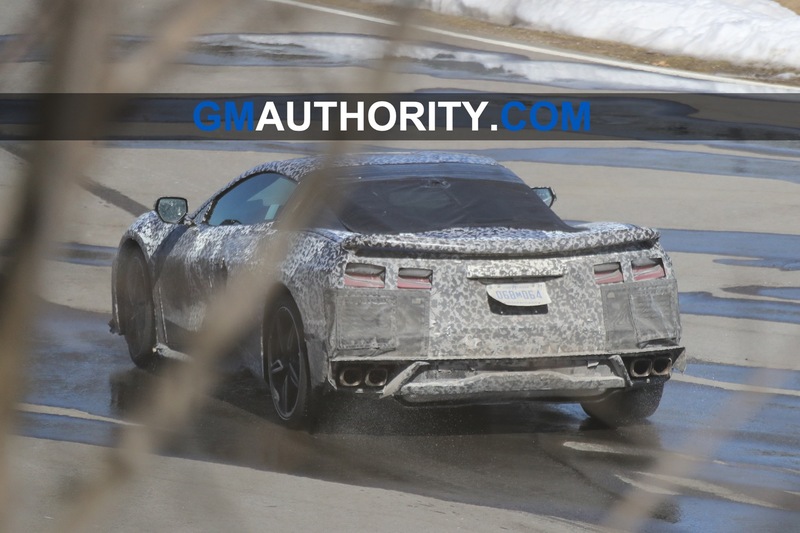 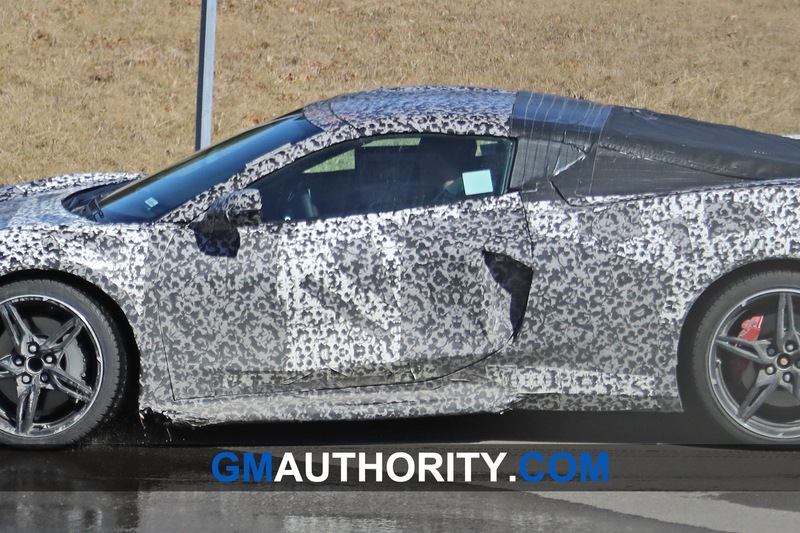 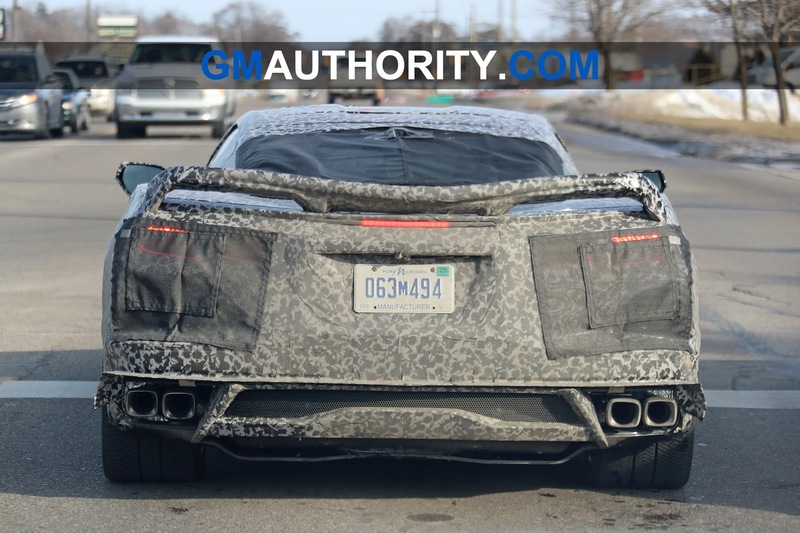 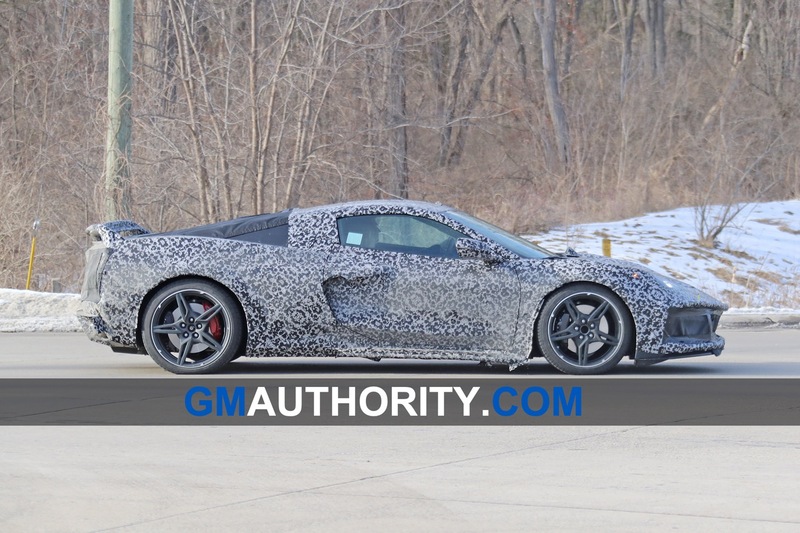 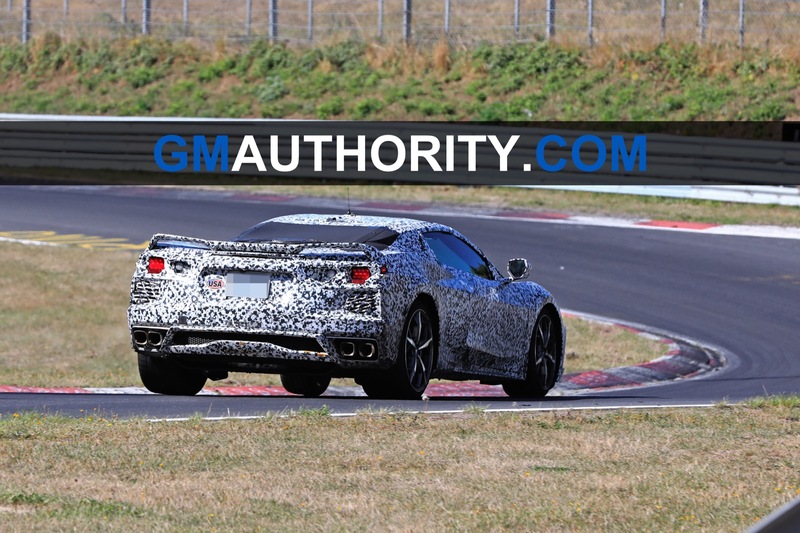 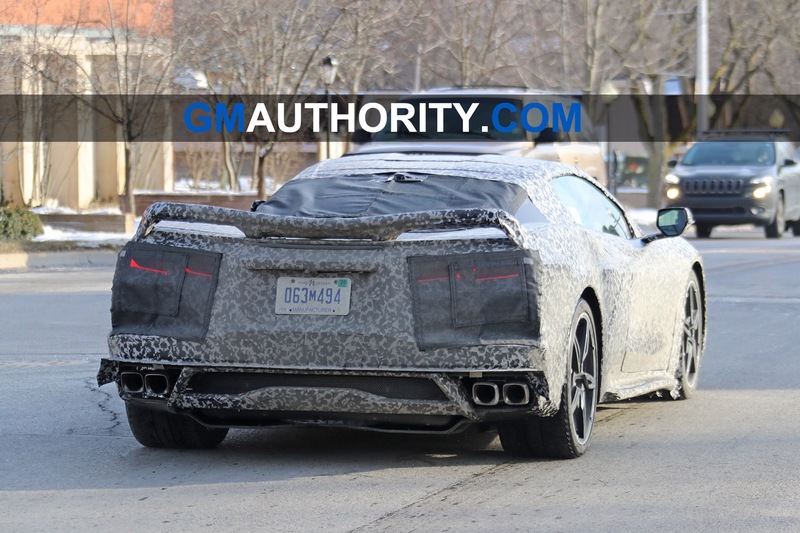 The C8 Corvette is no longer a secret. 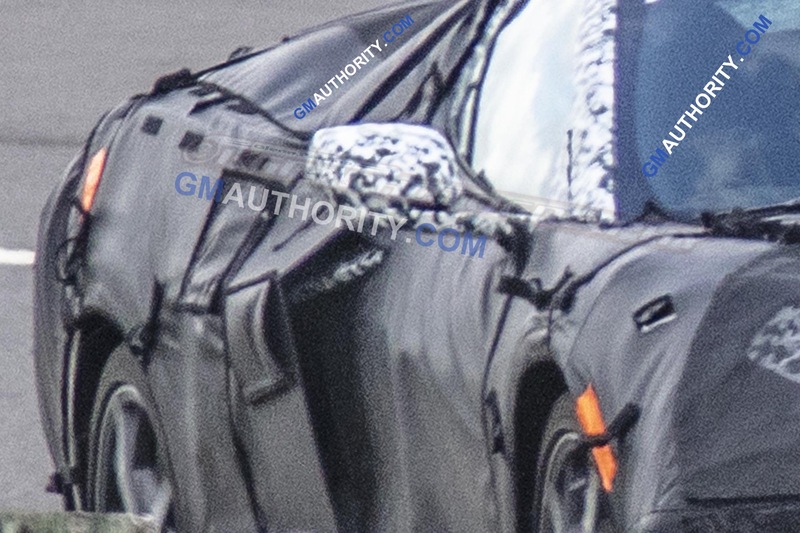 Well, sort of. 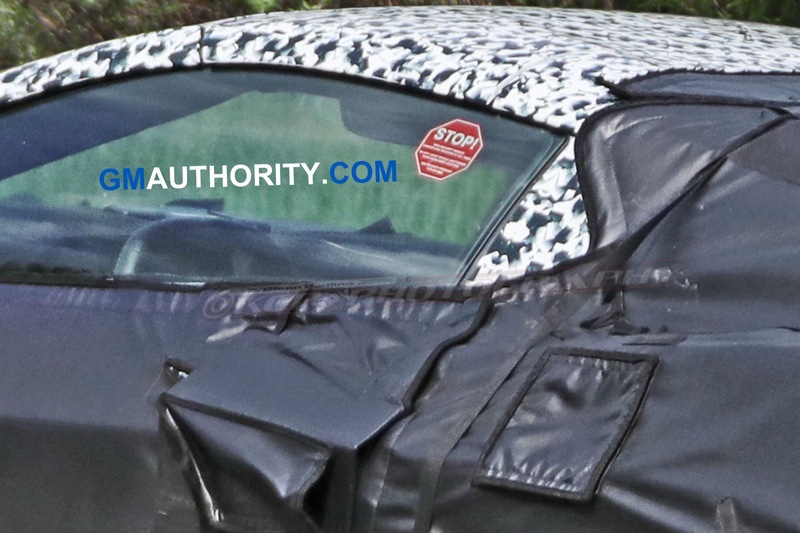 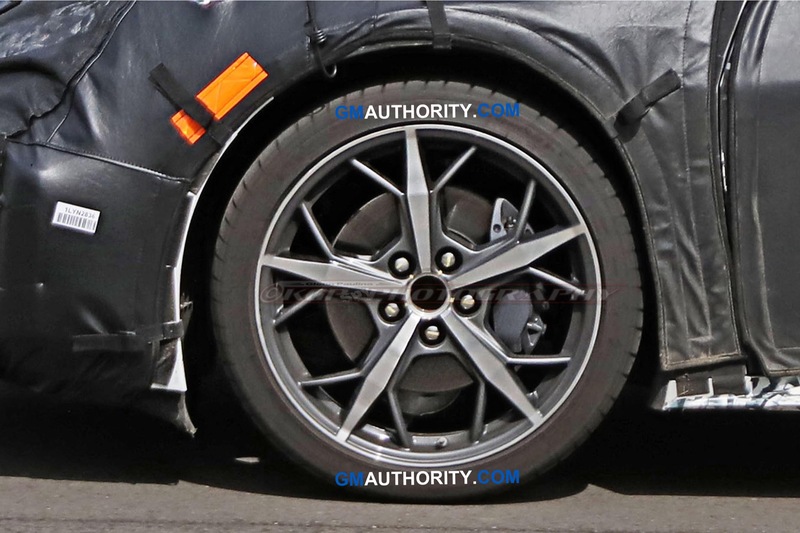 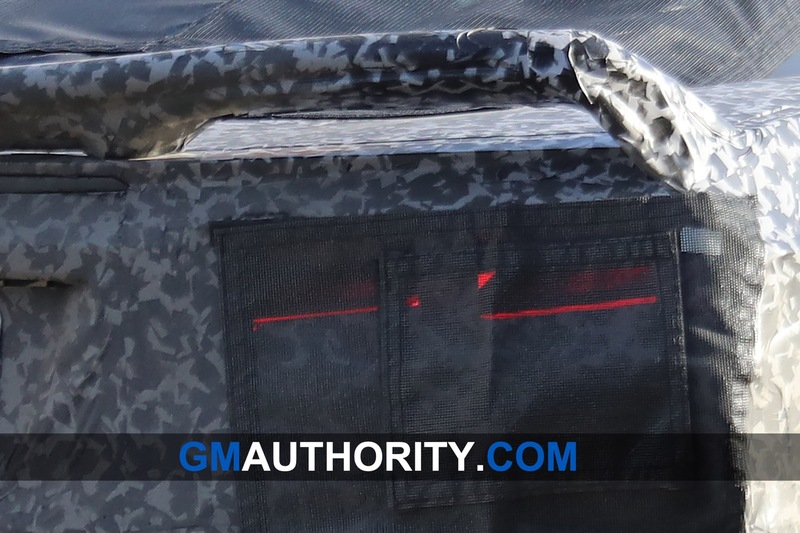 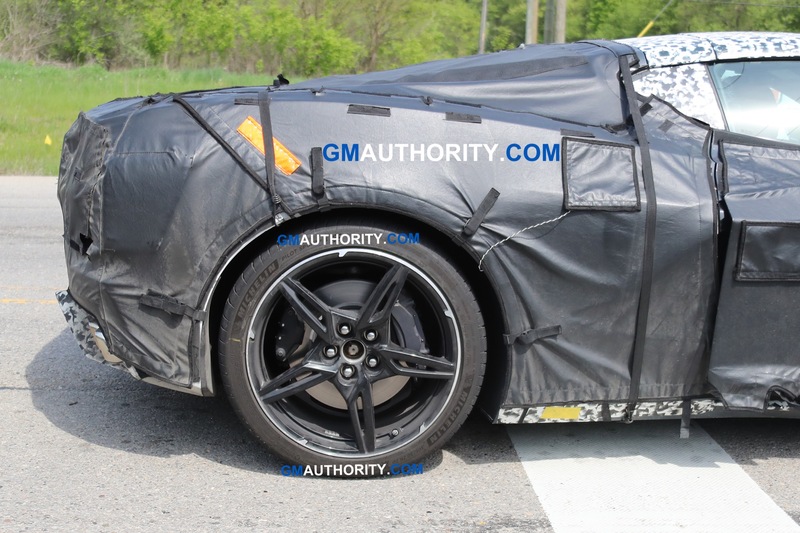 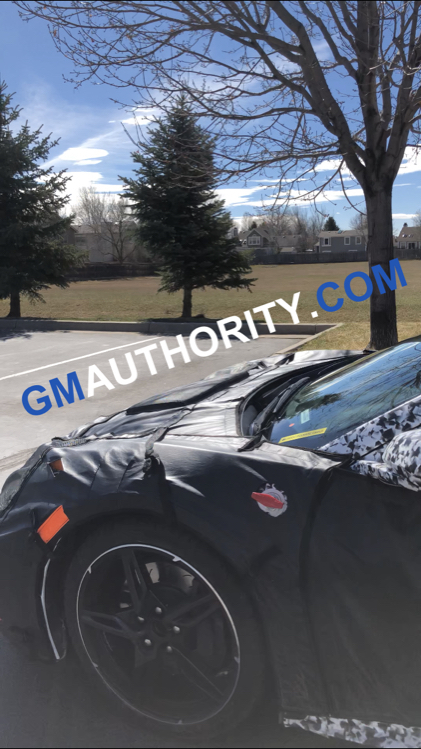 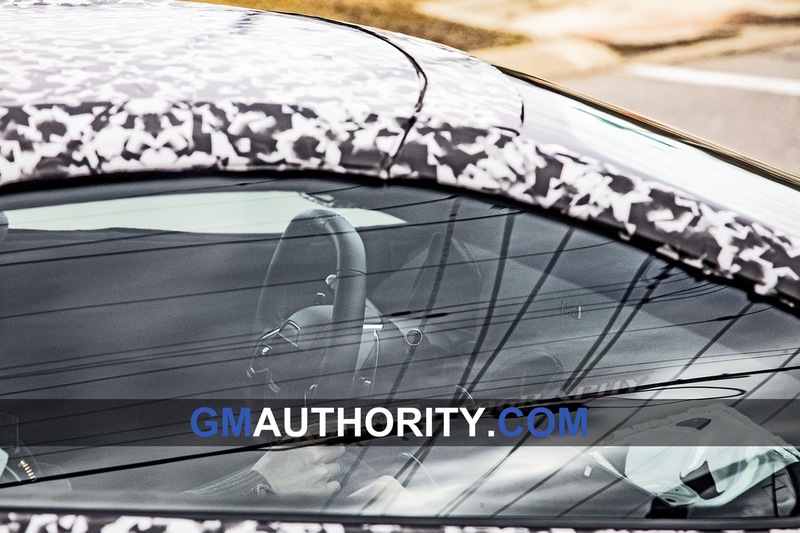 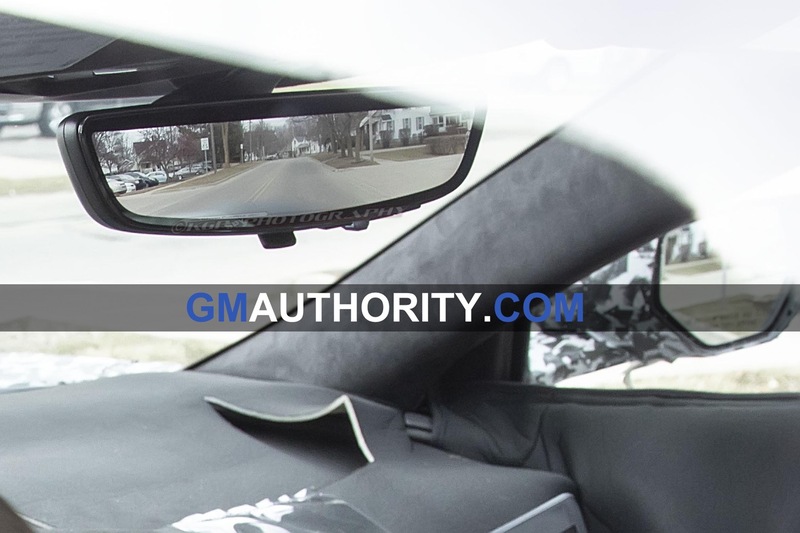 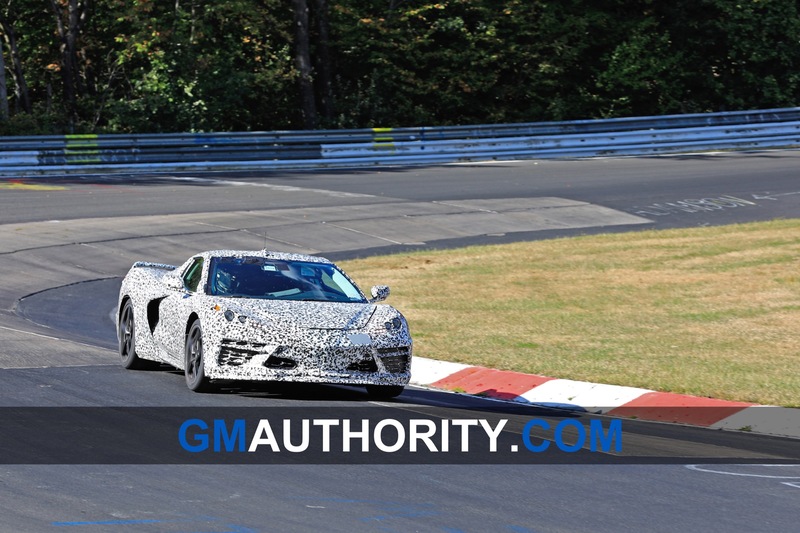 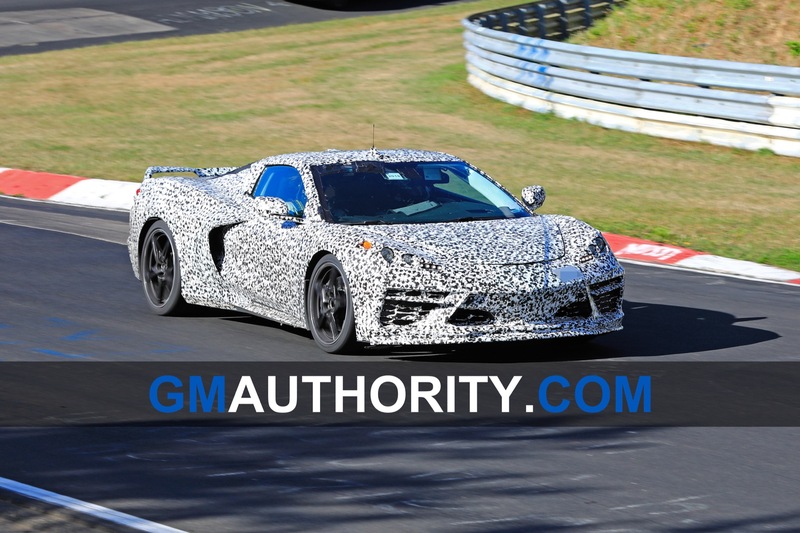 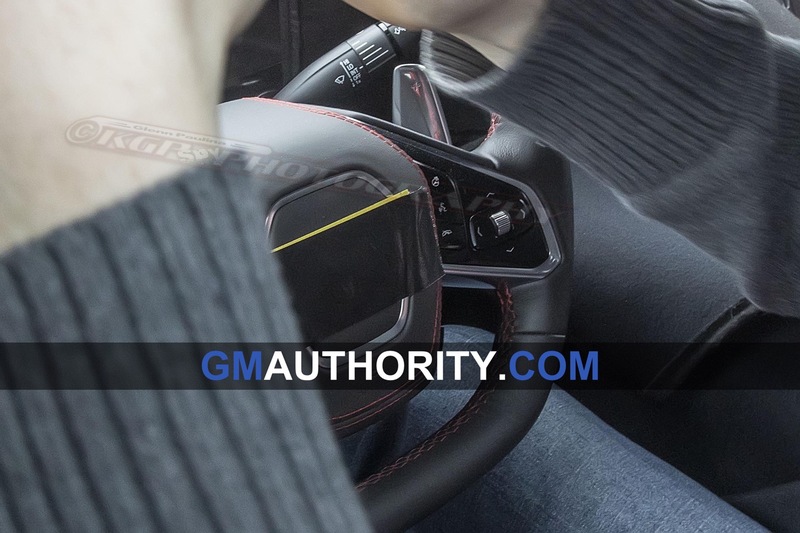 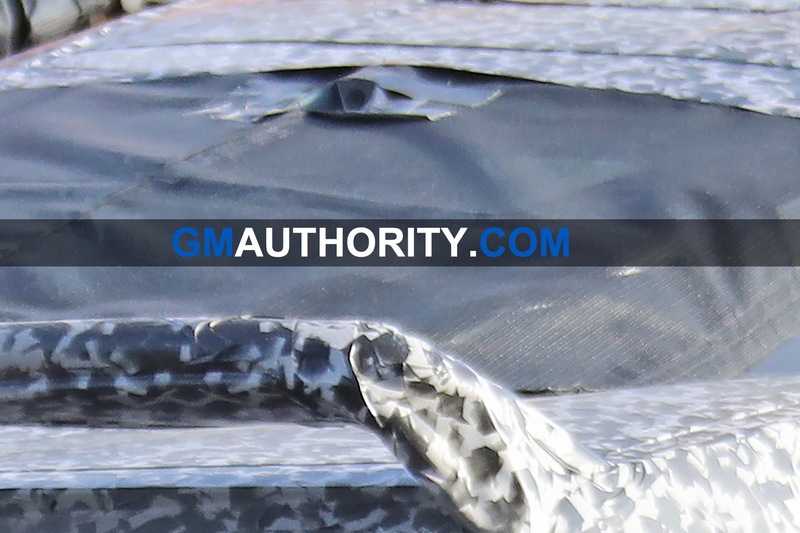 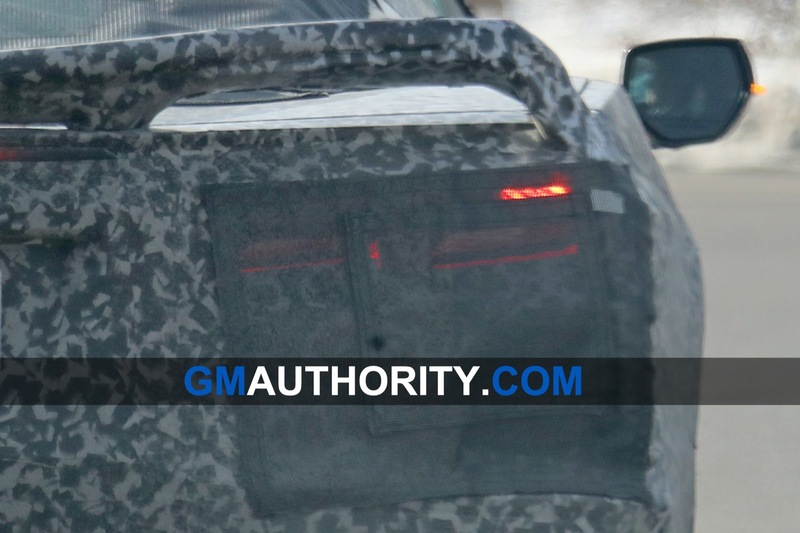 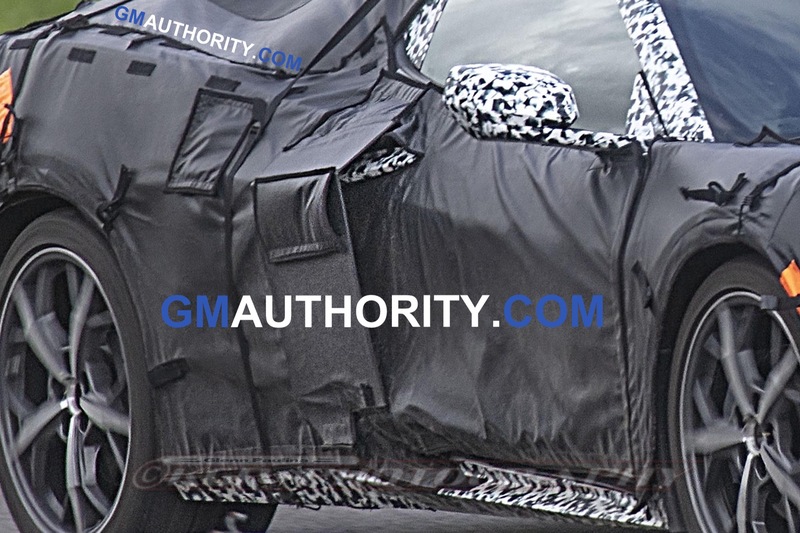 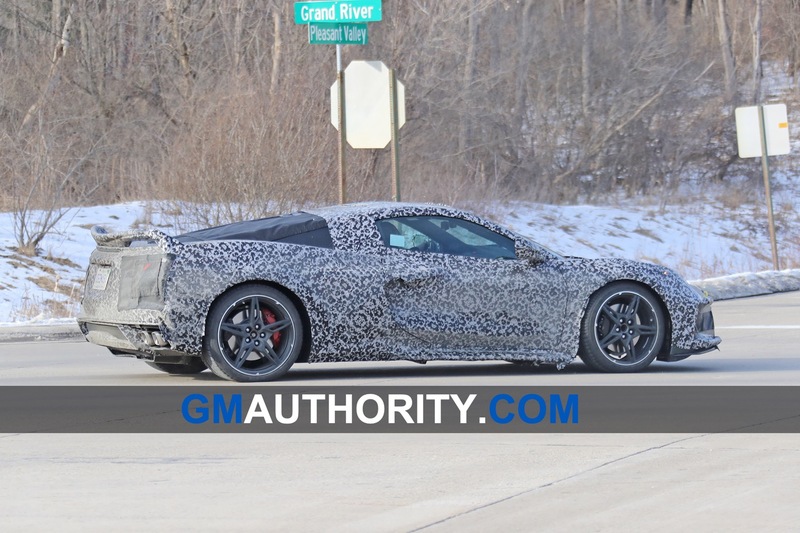 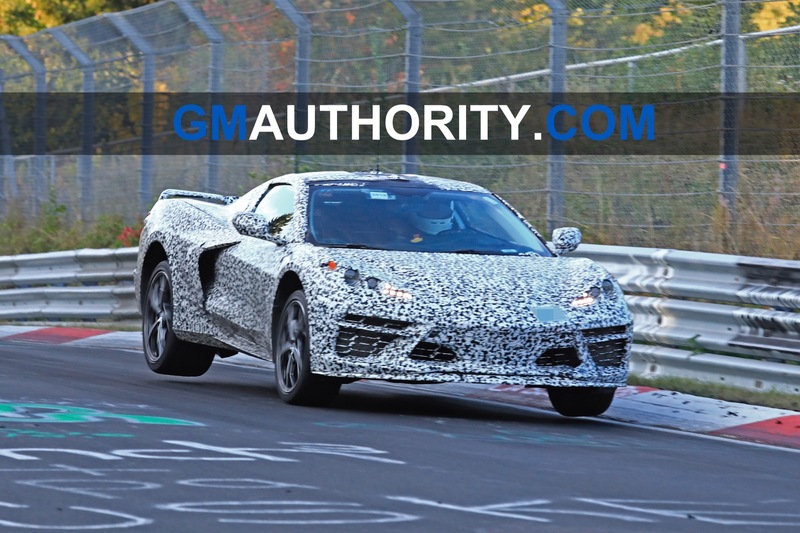 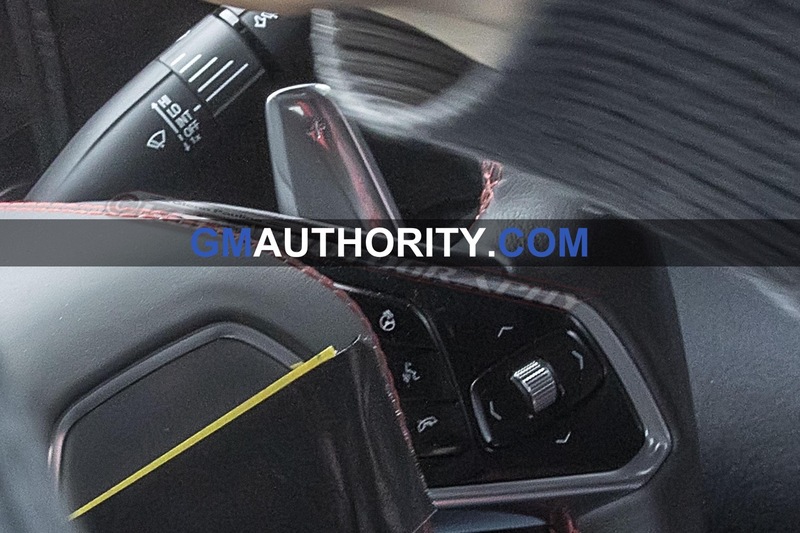 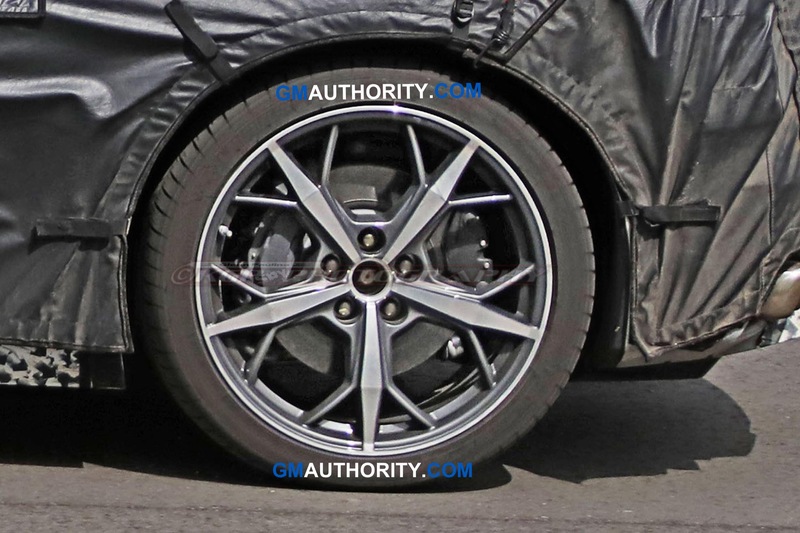 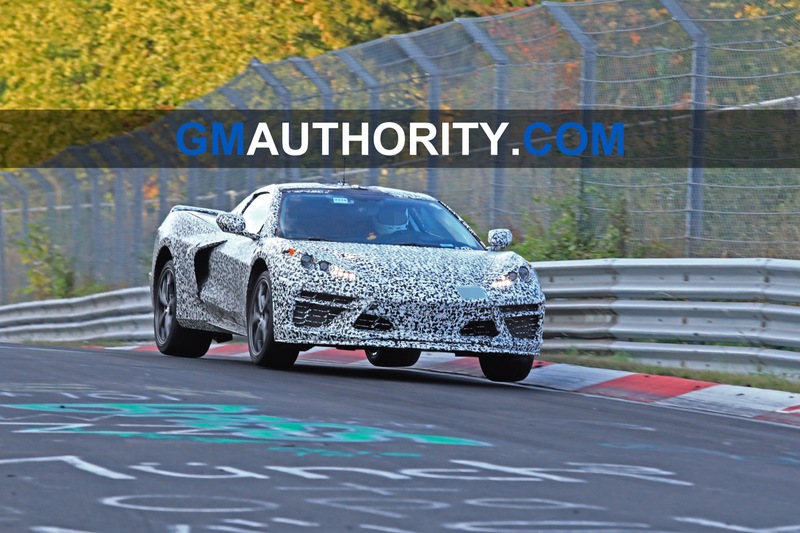 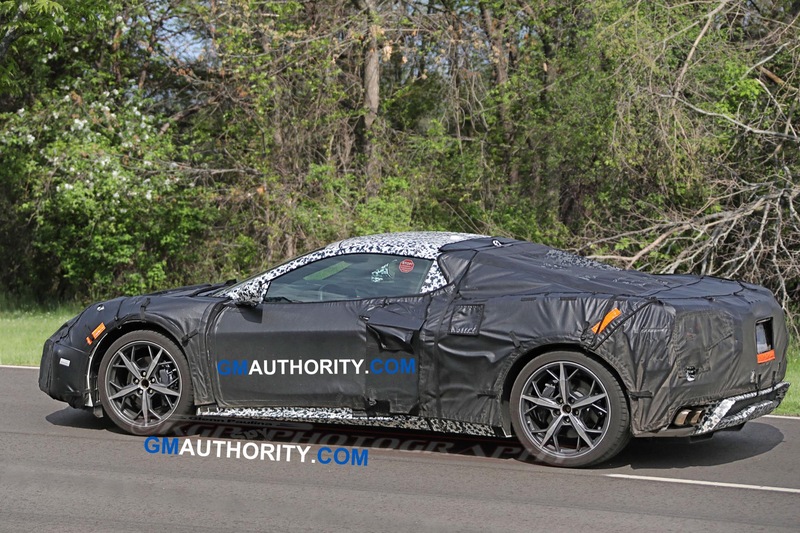 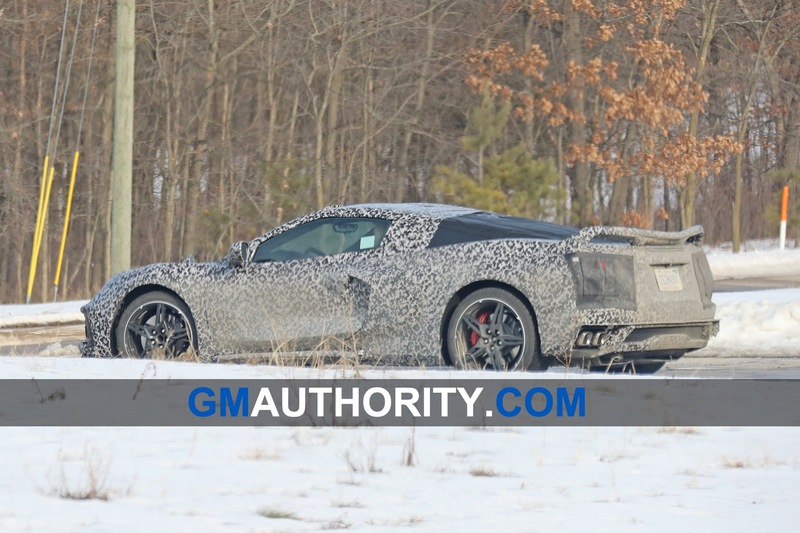 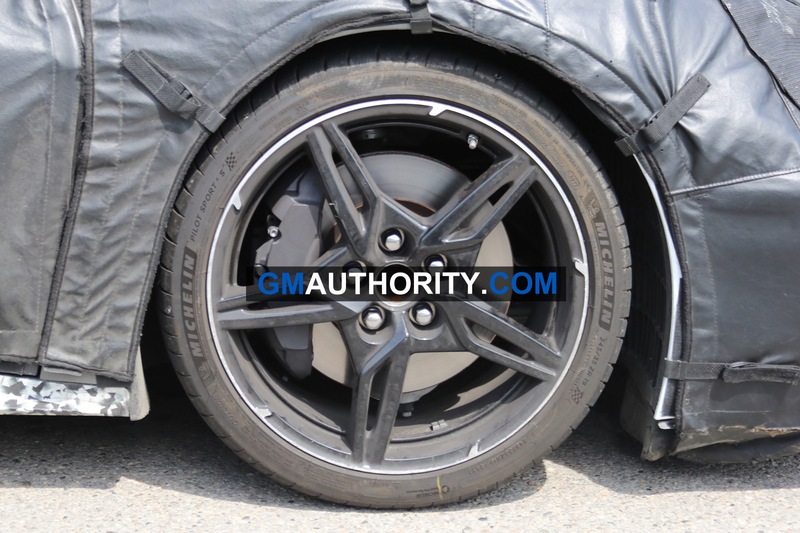 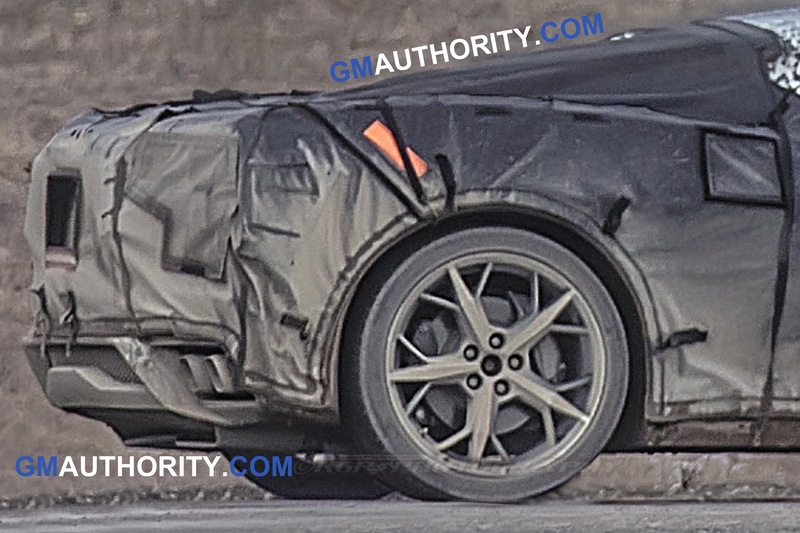 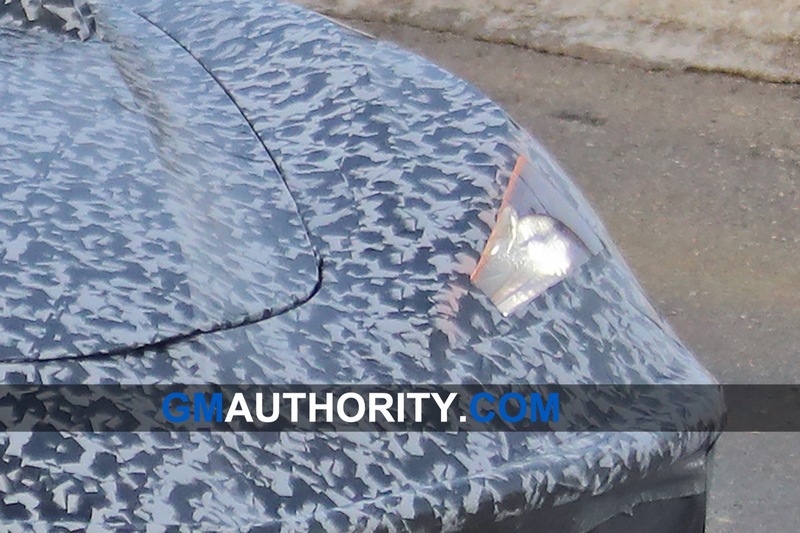 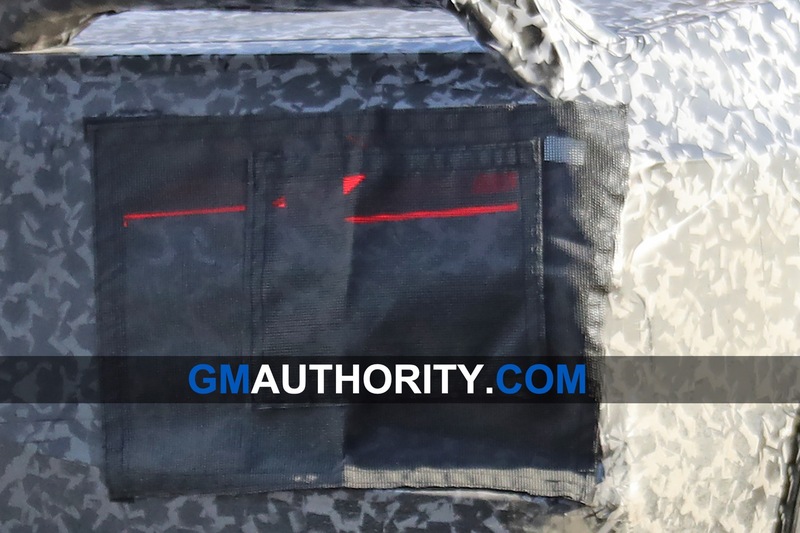 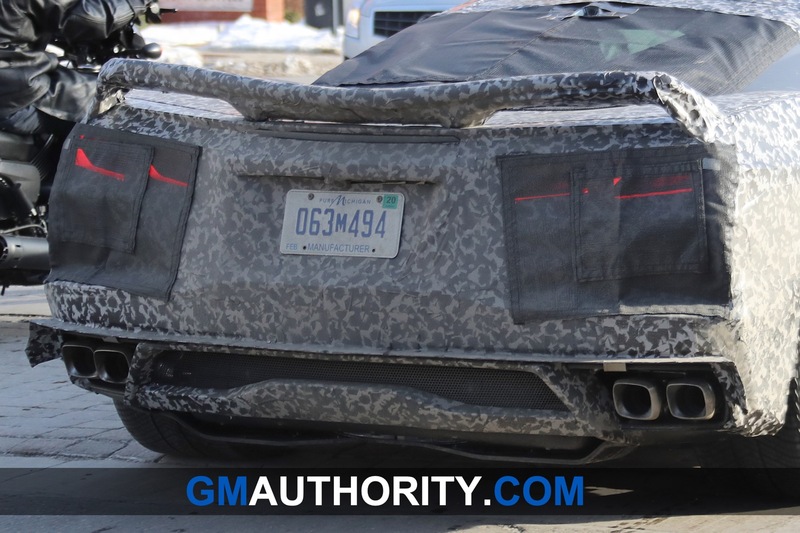 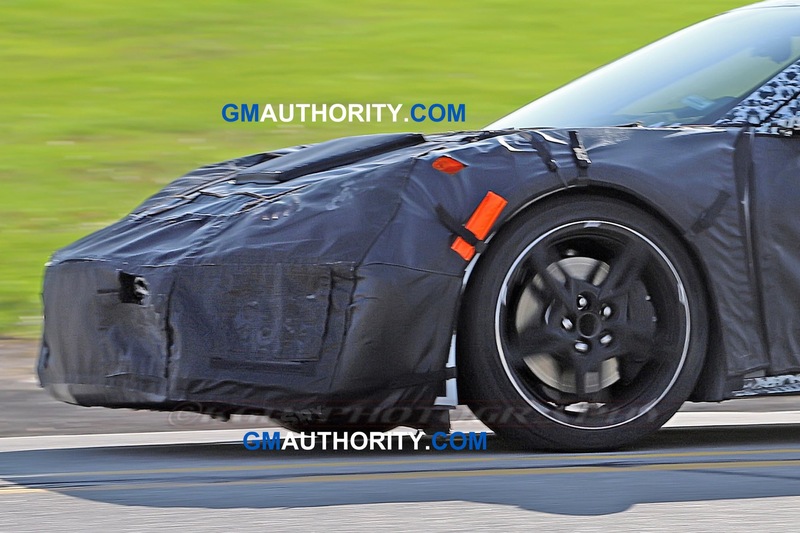 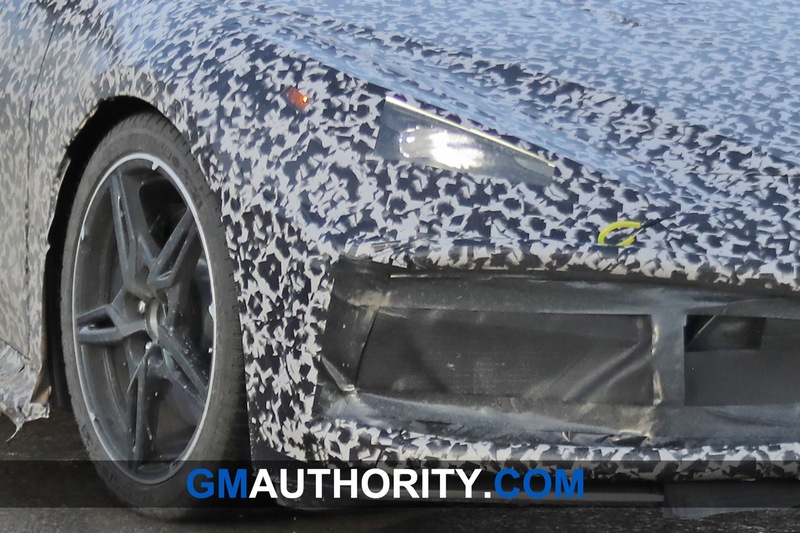 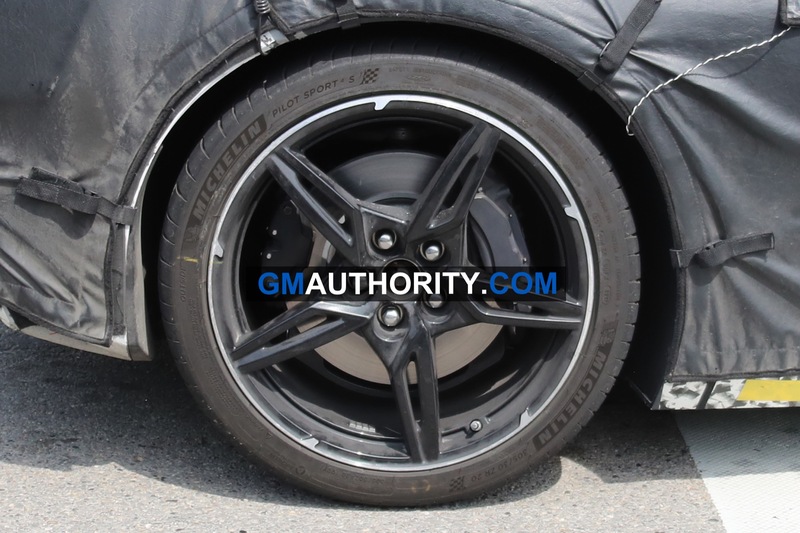 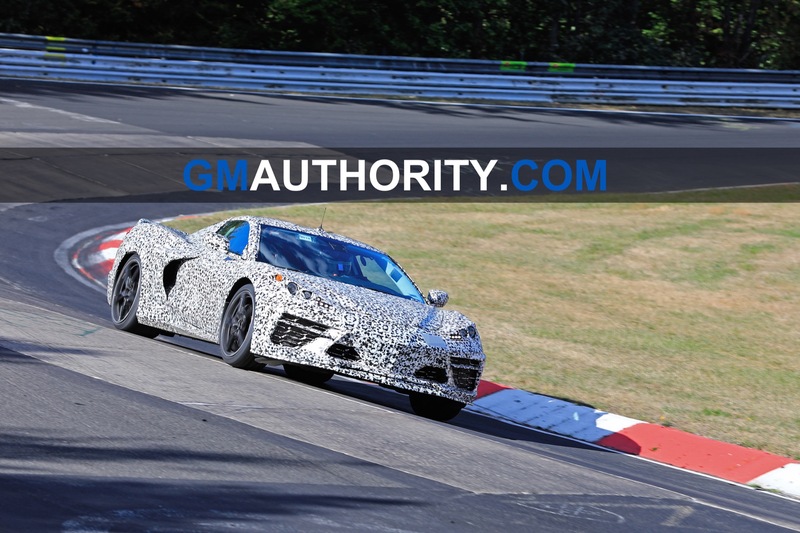 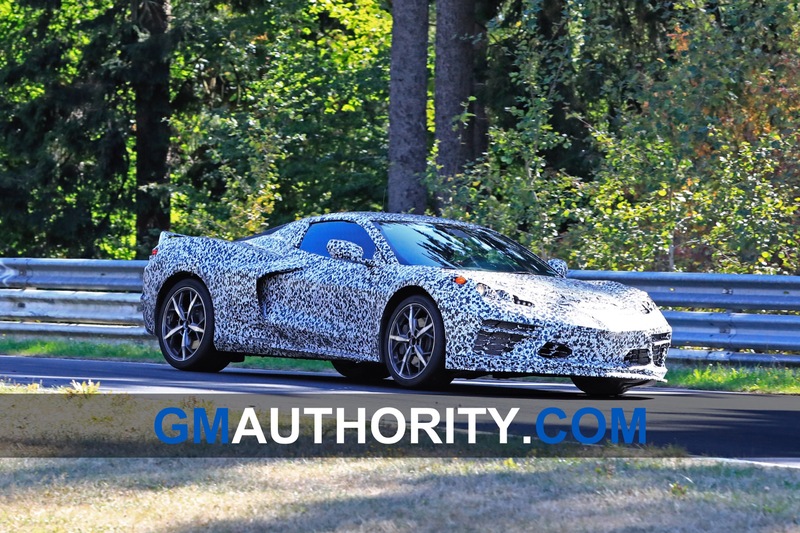 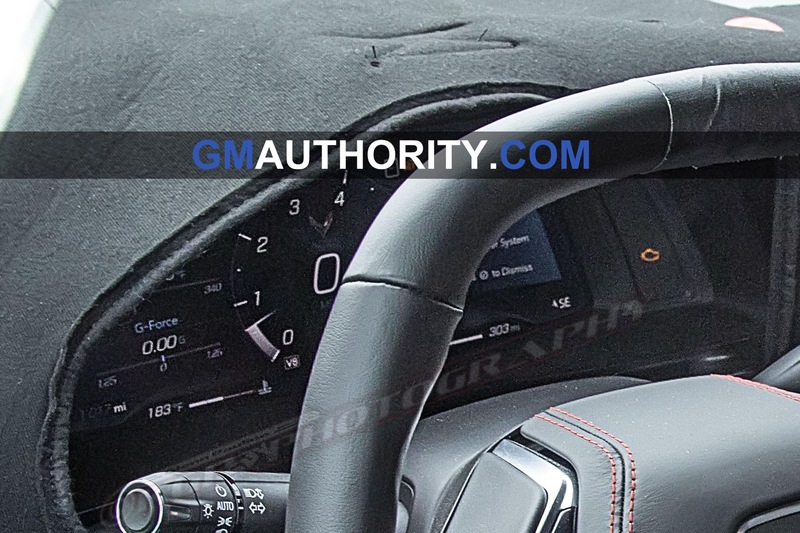 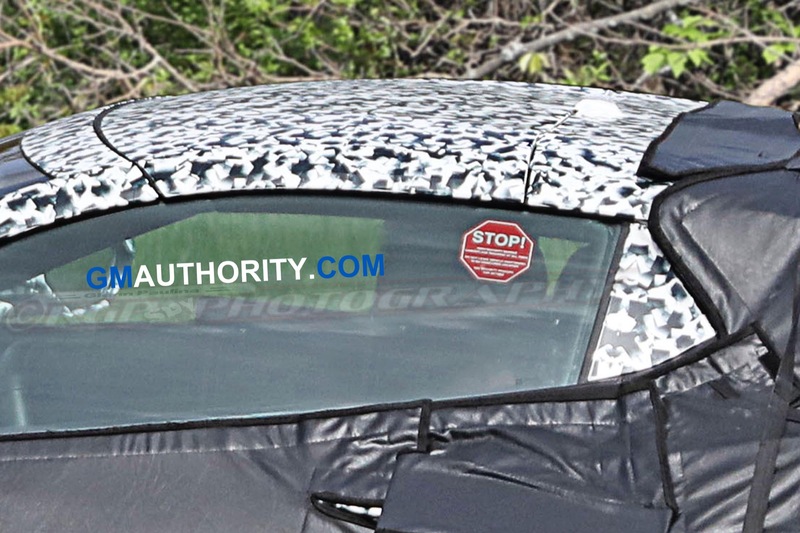 General Motors finally acknowledged the new sports car last week when it drove a camouflaged prototype through the streets of New York City, announcing that it would reveal the new mid-engine Chevrolet Corvette July 18th. 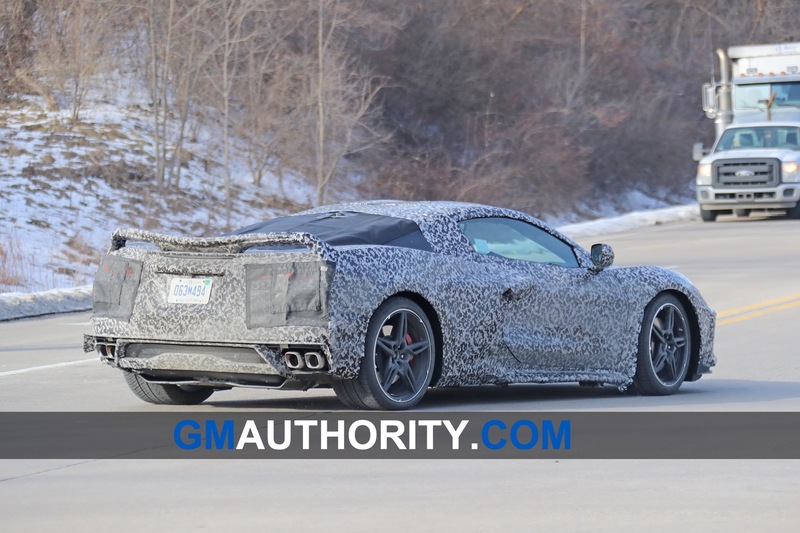 It’s been a long time coming, too. 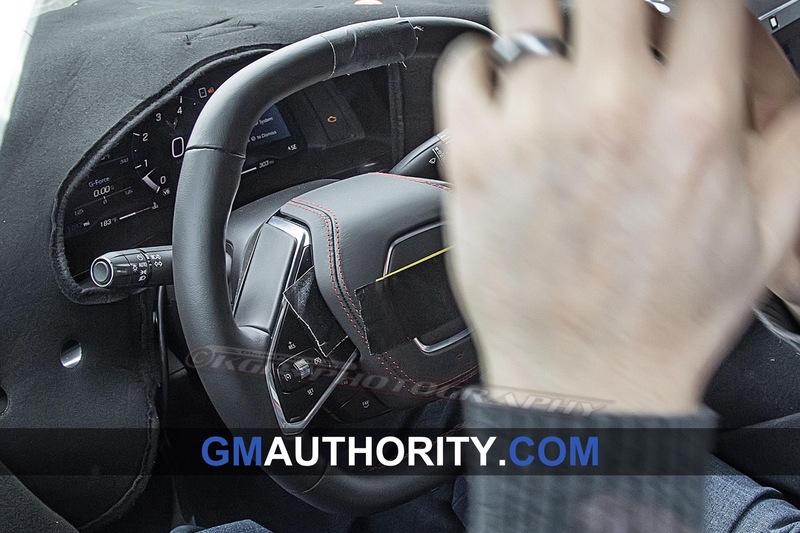 The team has reportedly run into various issues during development, delaying its launch and associated reveal originally planned for the North American International Auto Show in Detroit in January. 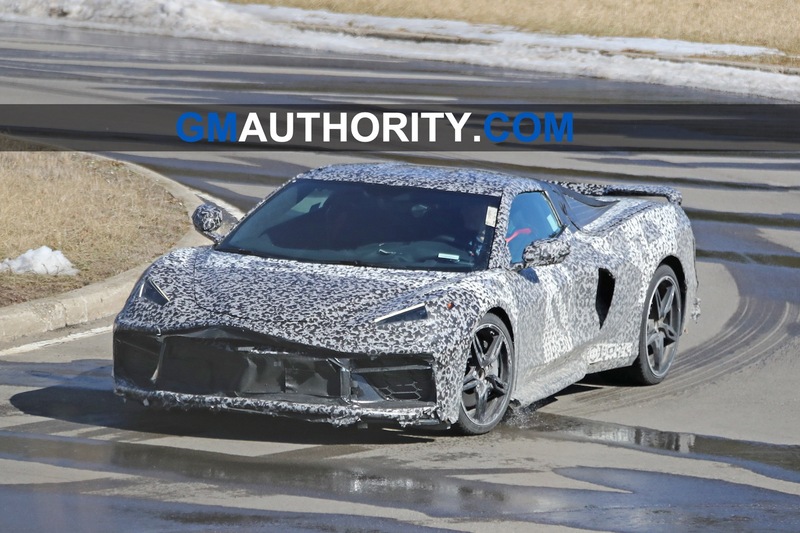 Yes, the mid-engine Corvette C8 is an exciting car – a real-world realization of Zora Arkus-Duntov’s dream Corvette more than 60 years after the iconic sports car debuted. 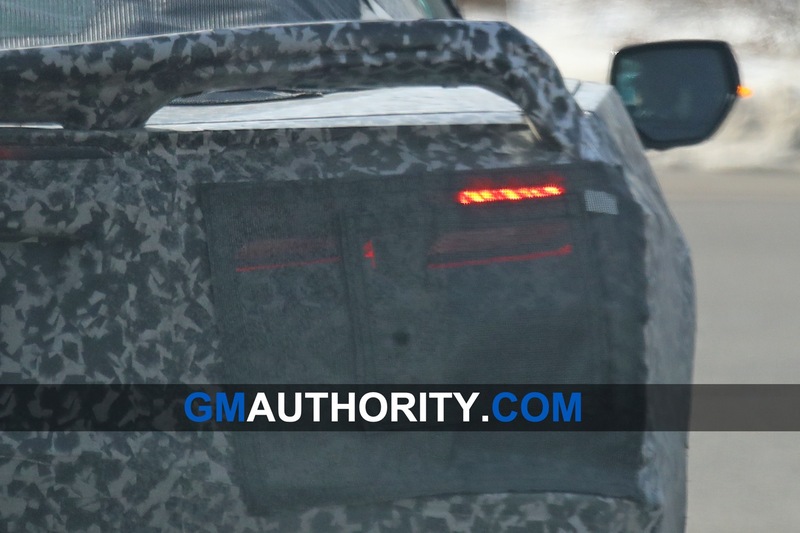 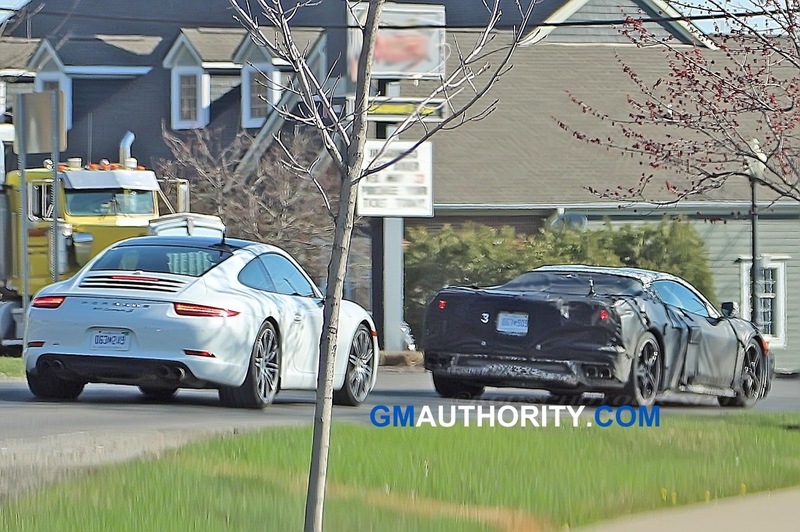 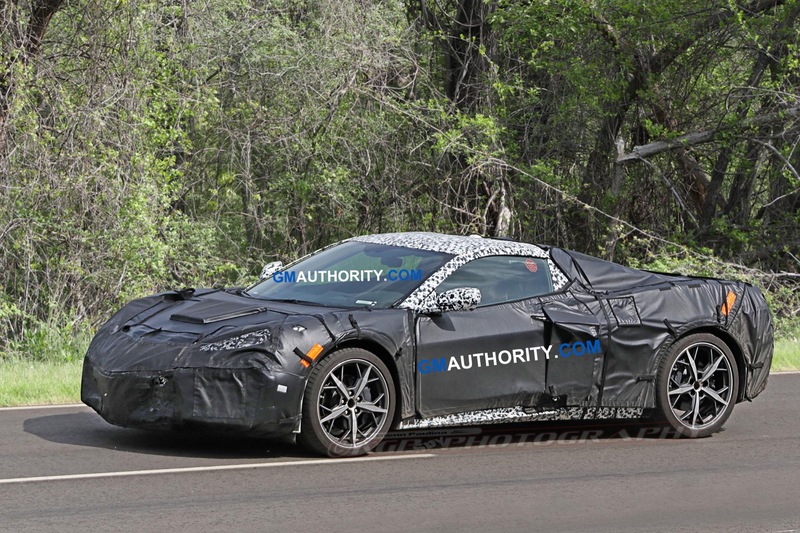 While we’ve spotted the mid-engine Corvettes in various stages of development, we still know very little about the car. 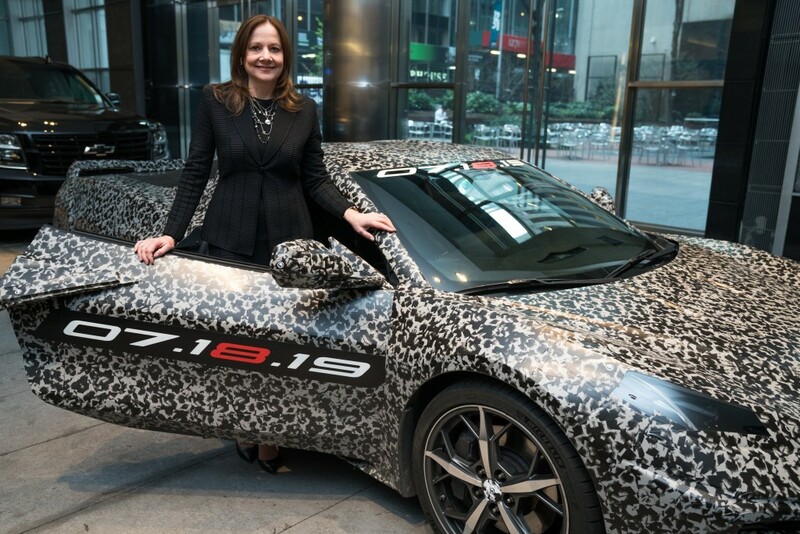 Yes, there have been rumors – and plenty of them – but GM is tight-lipped as ever. 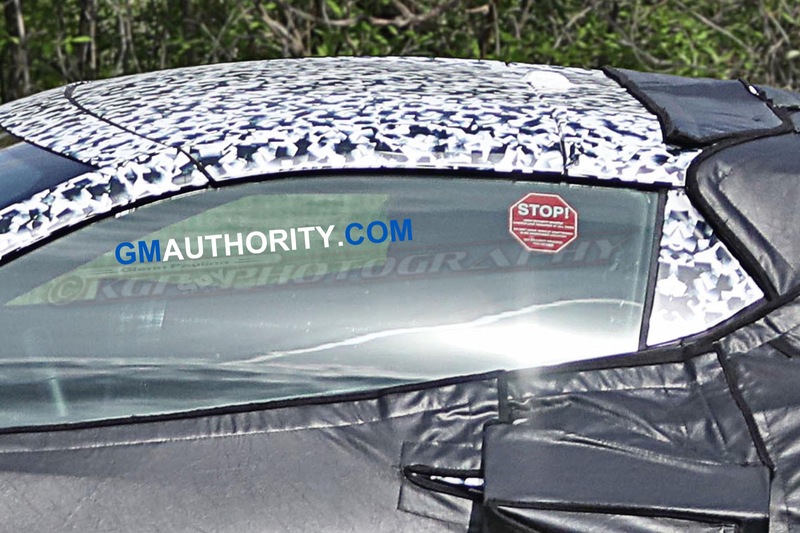 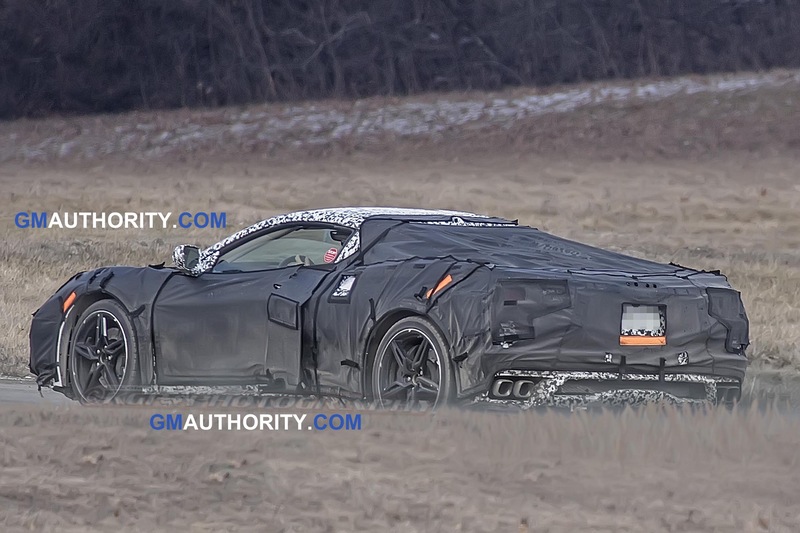 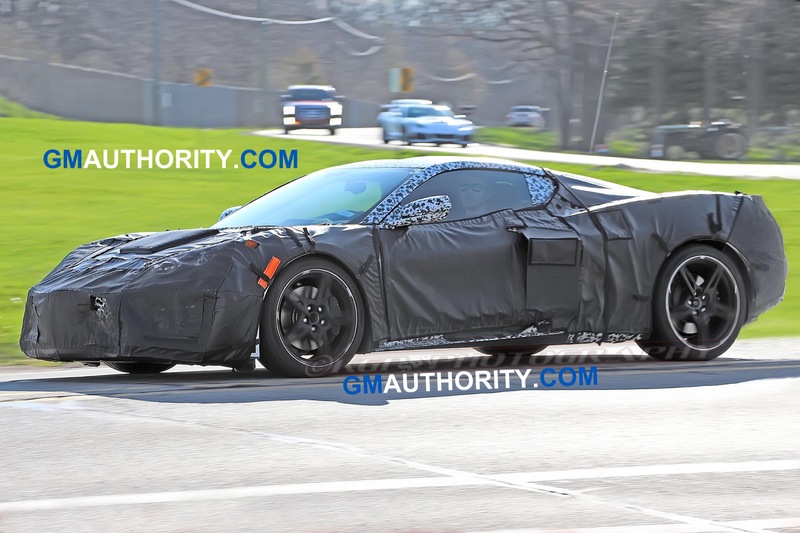 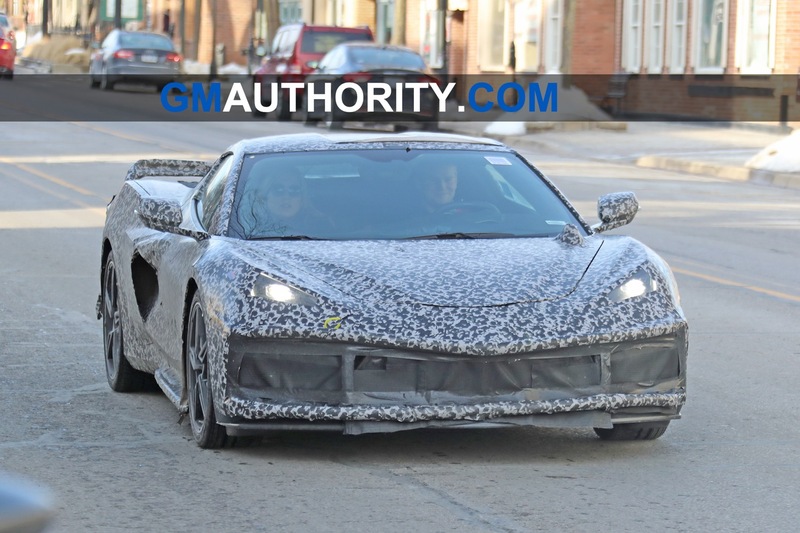 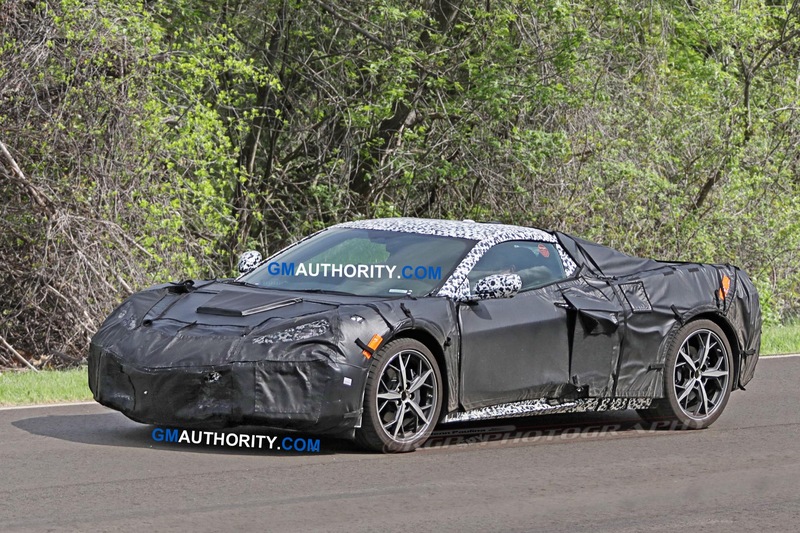 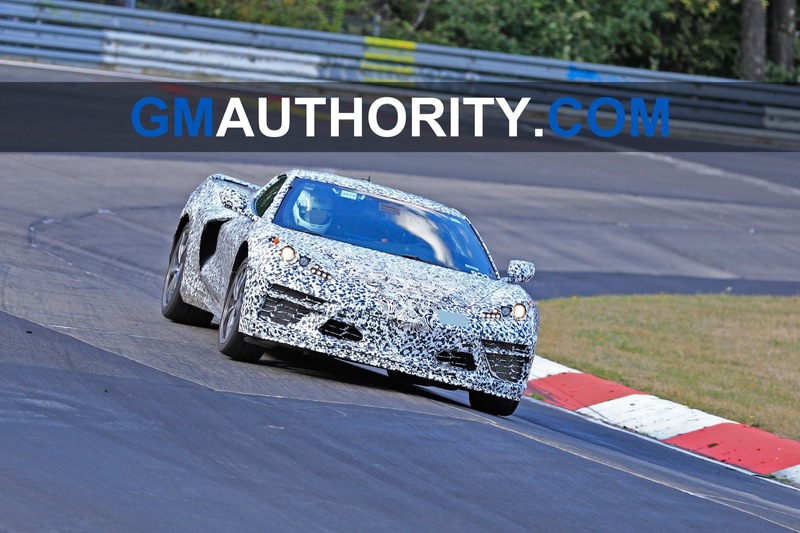 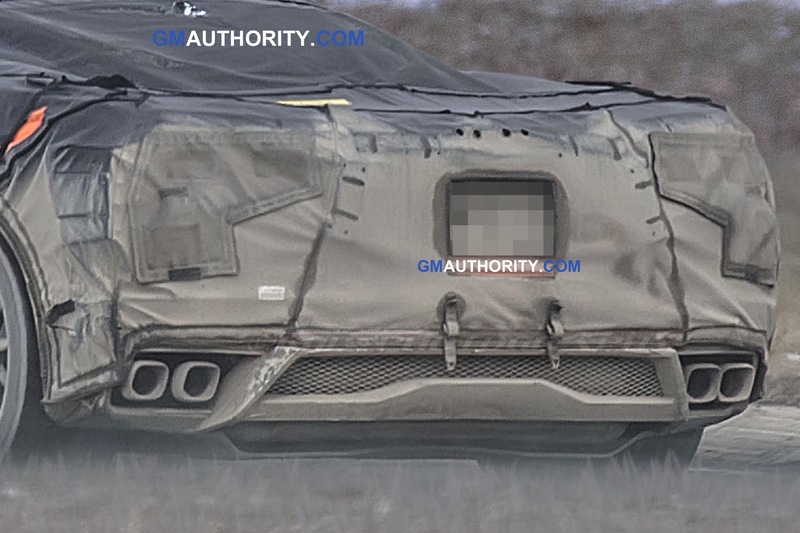 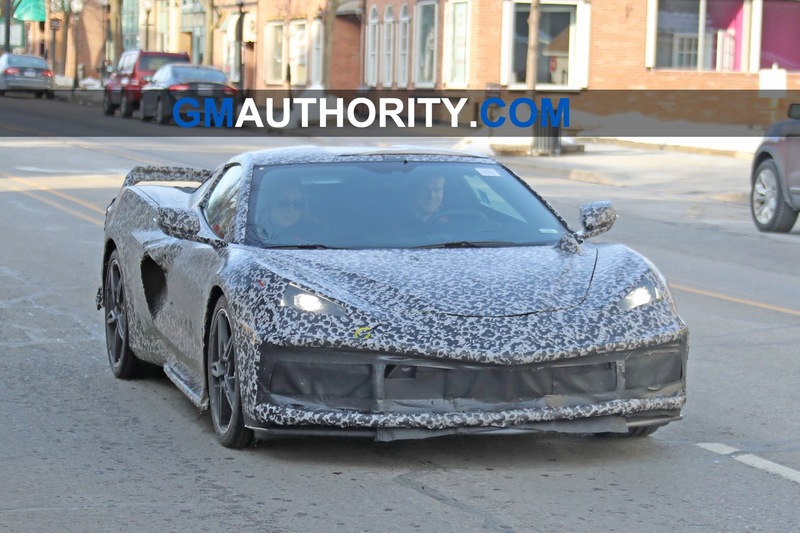 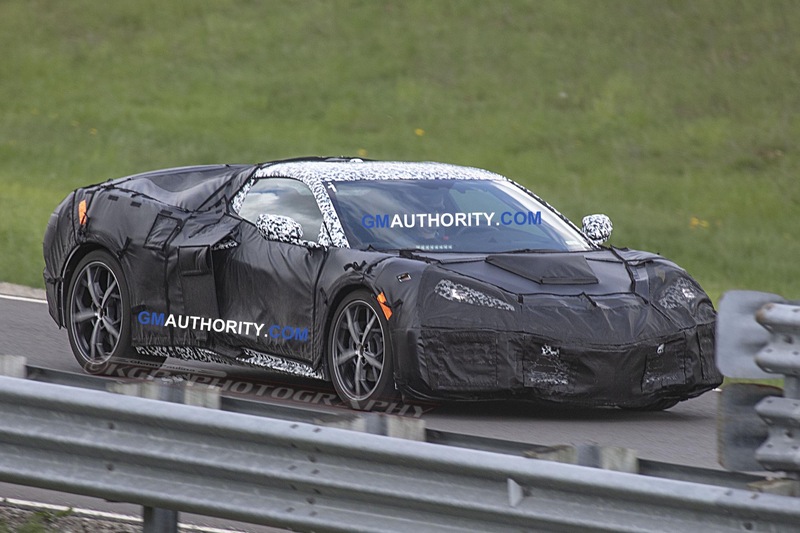 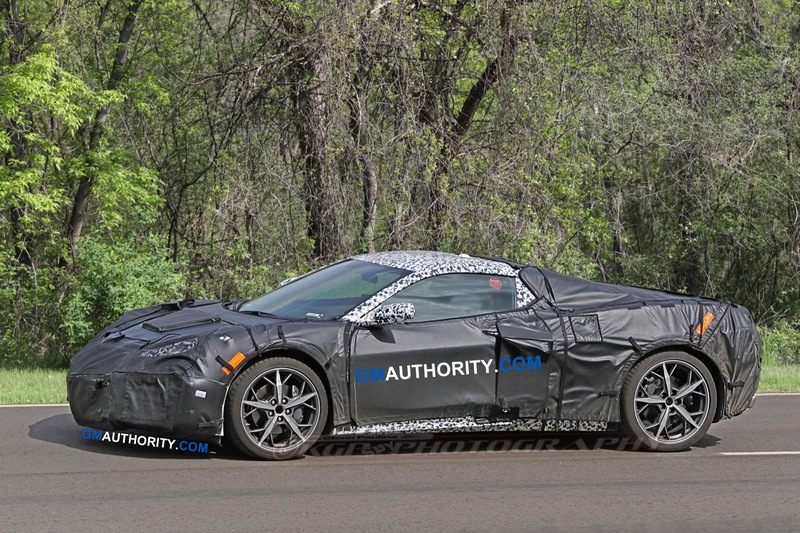 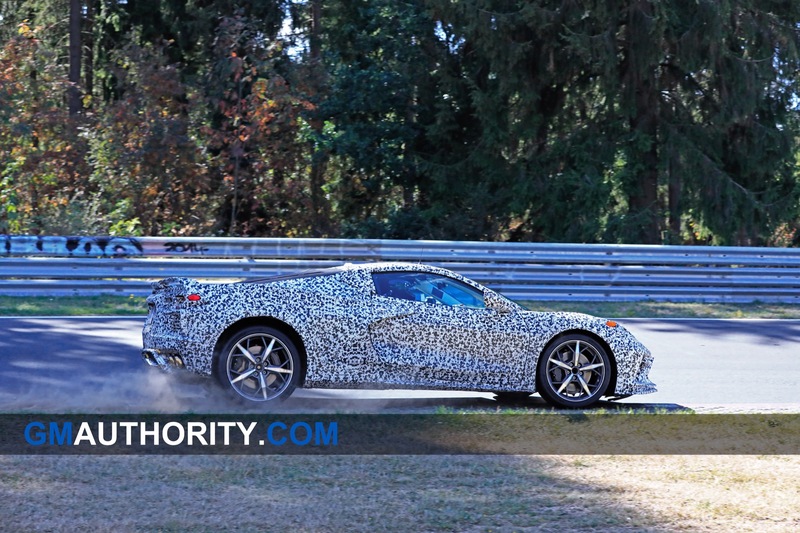 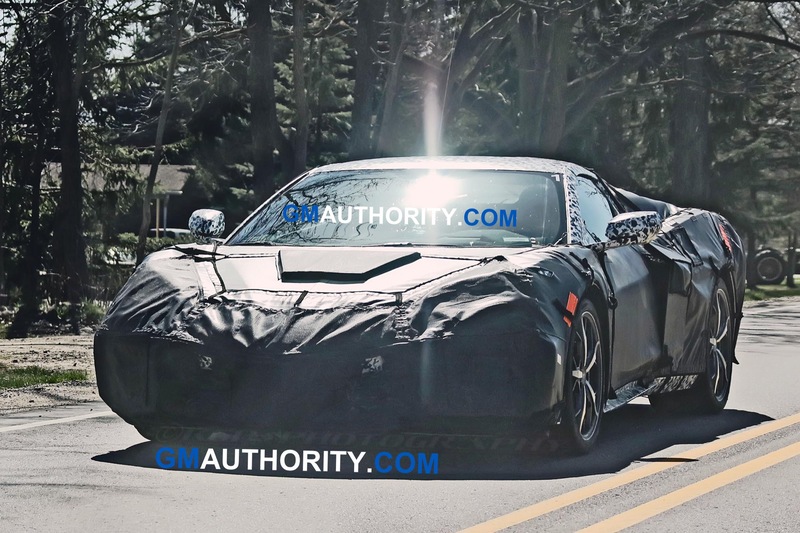 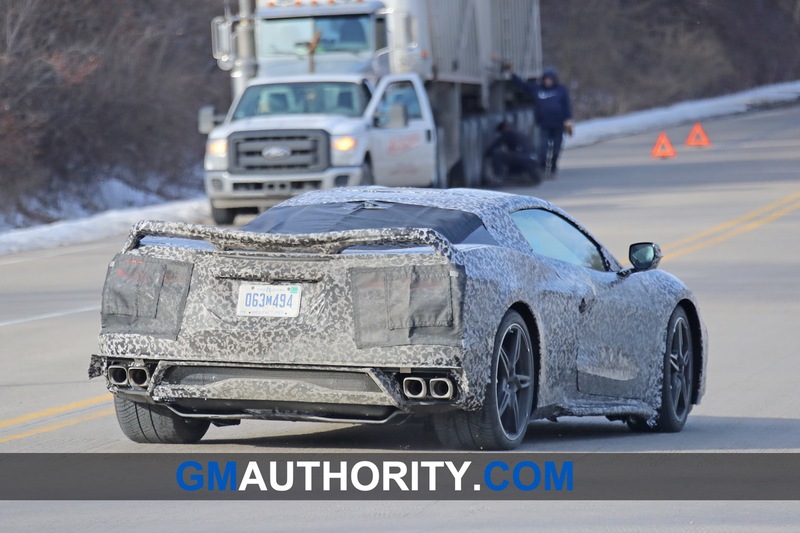 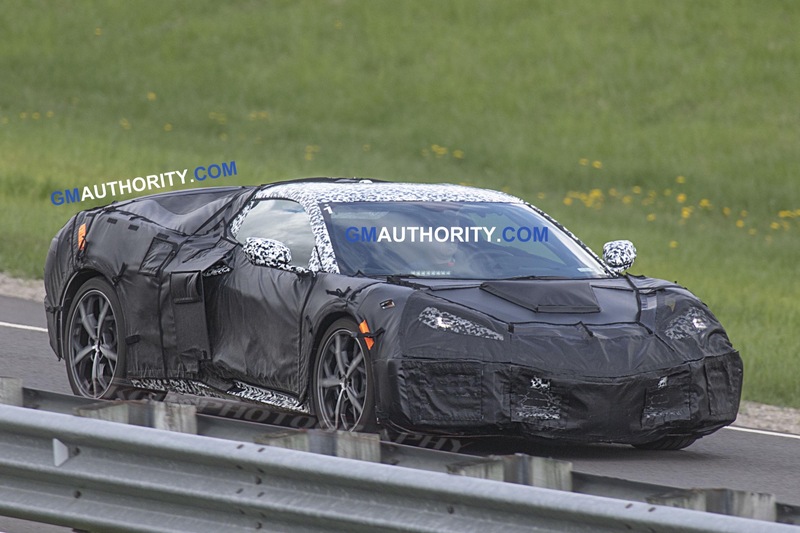 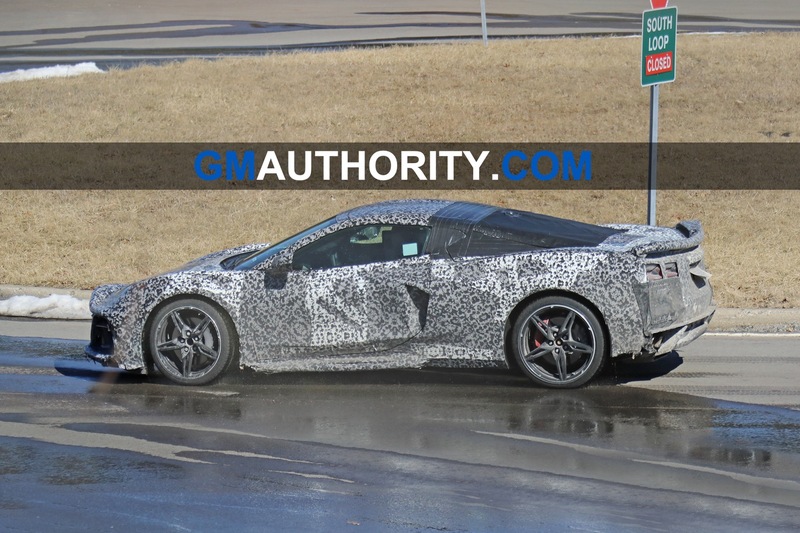 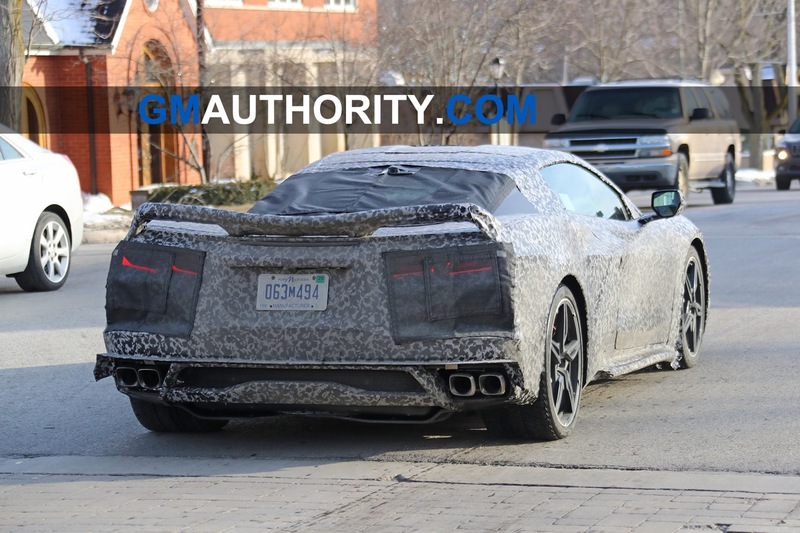 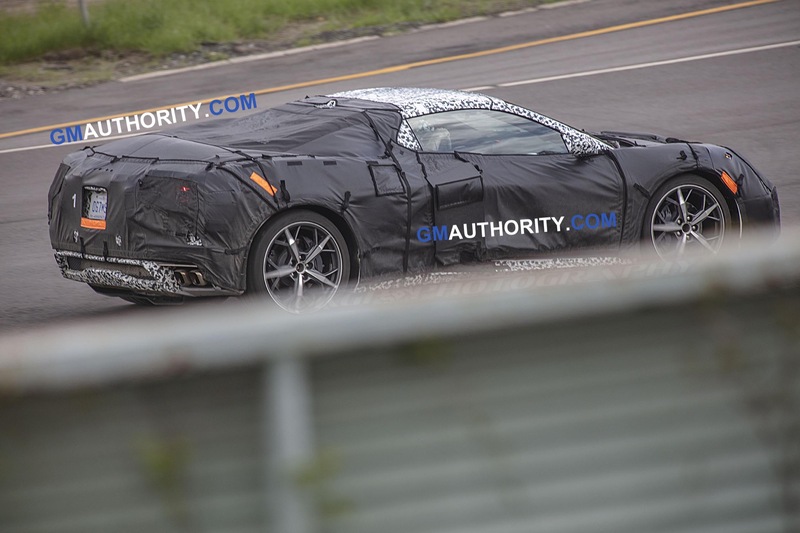 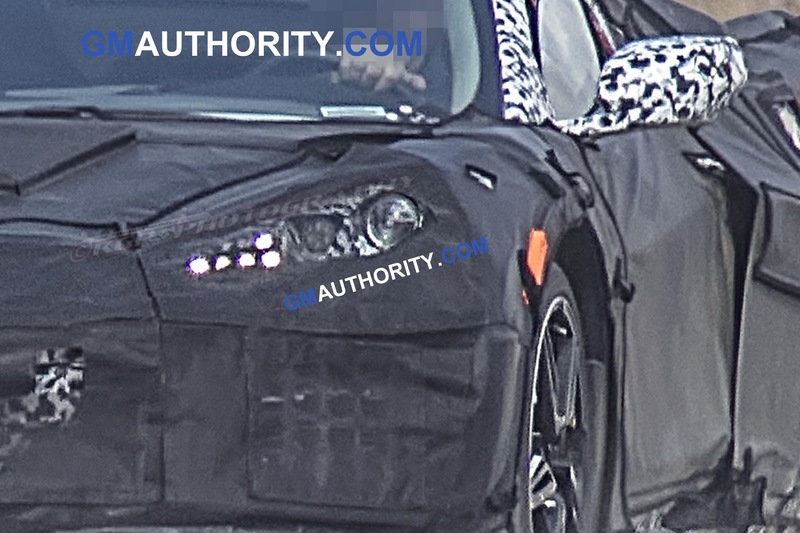 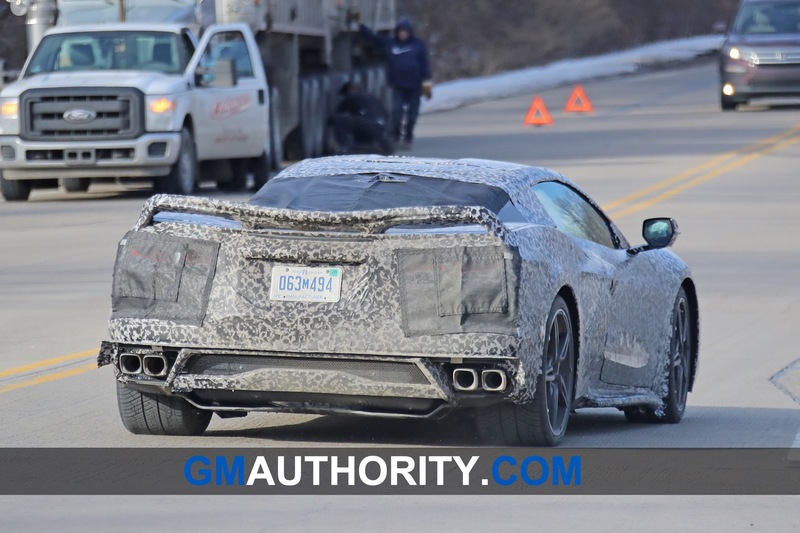 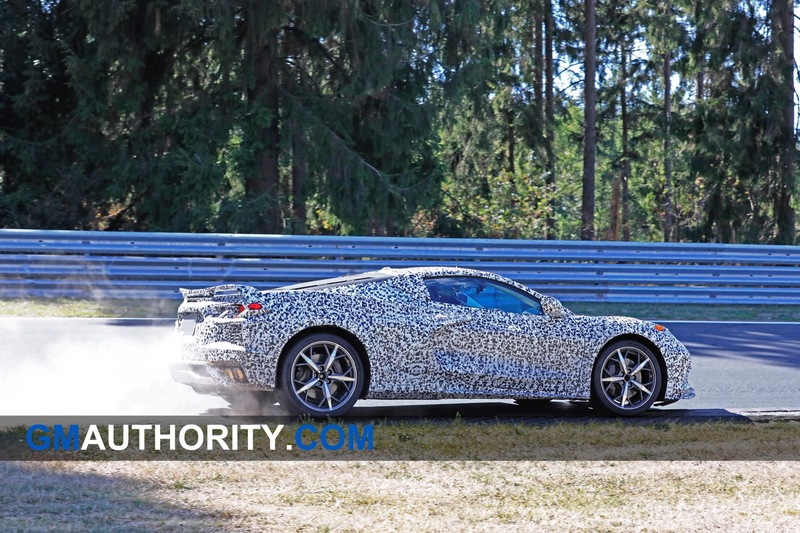 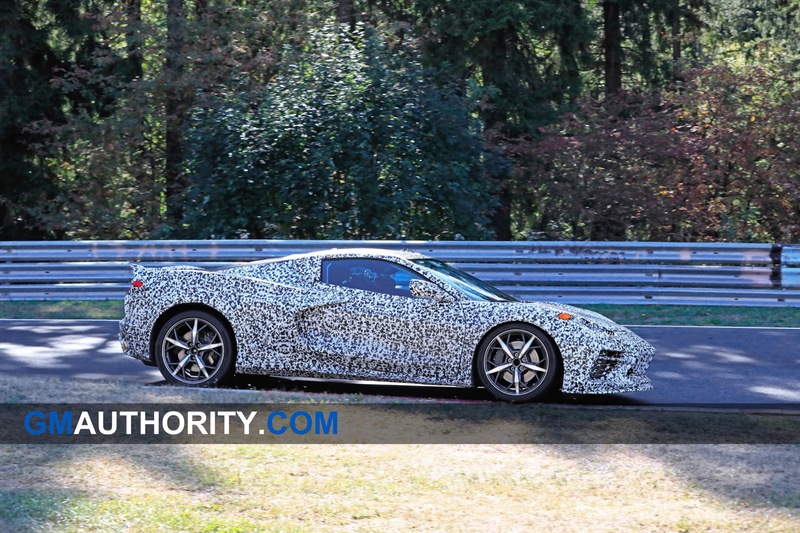 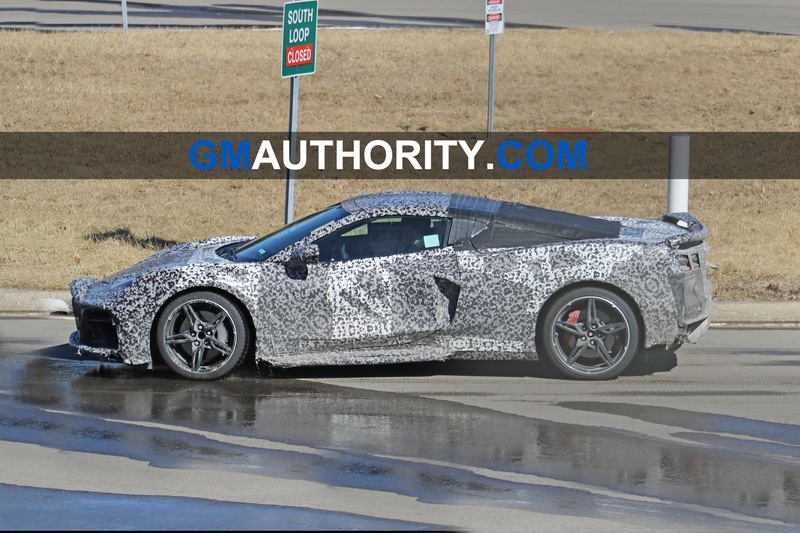 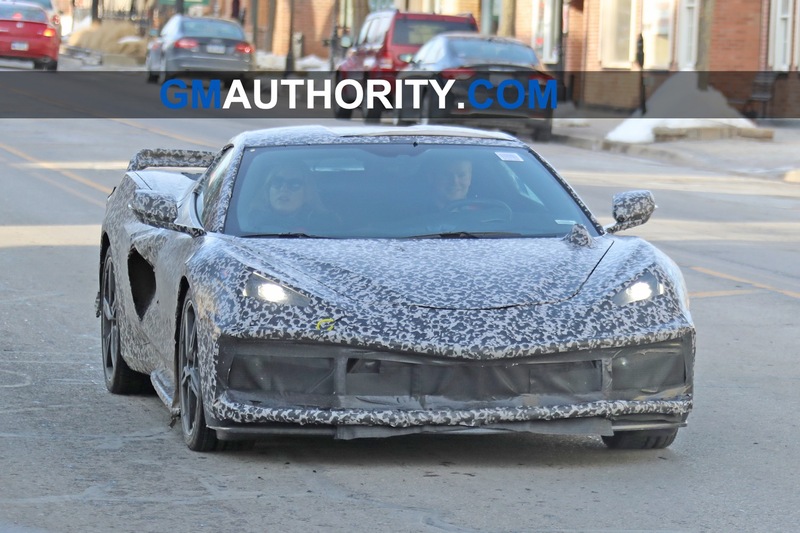 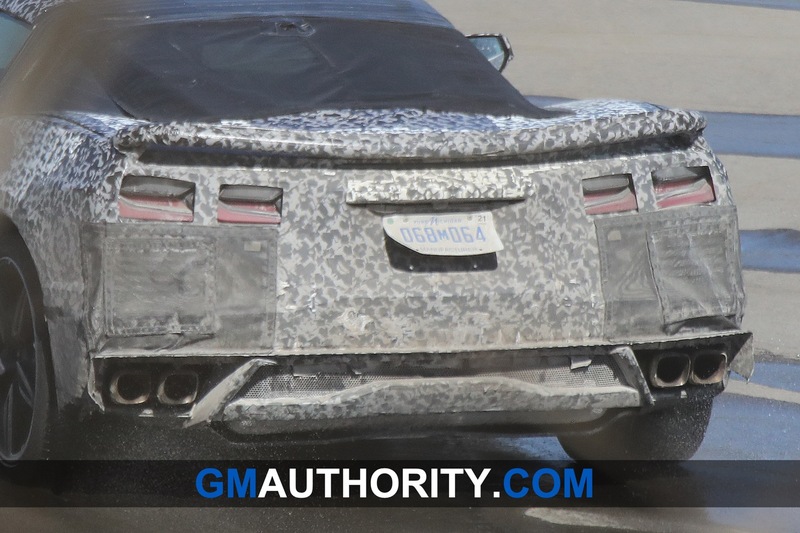 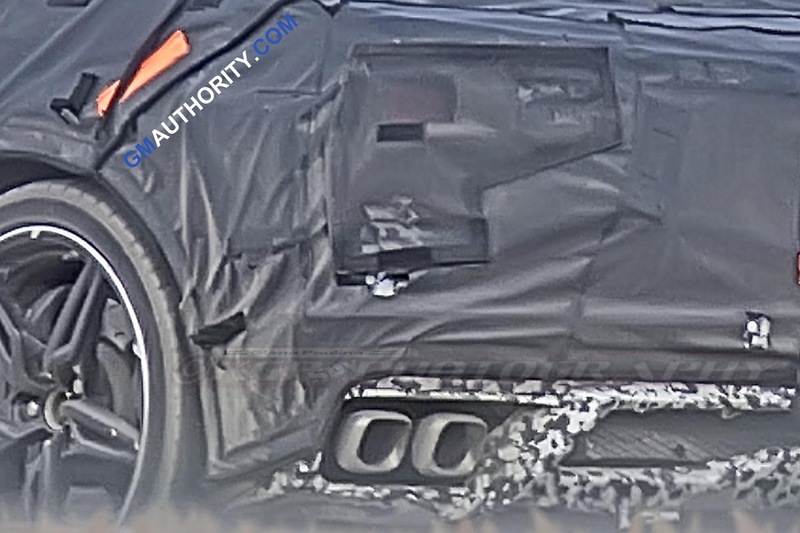 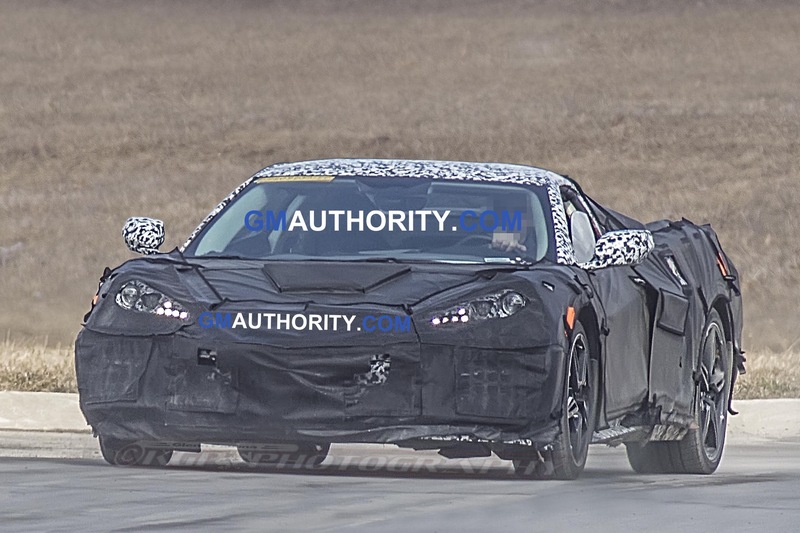 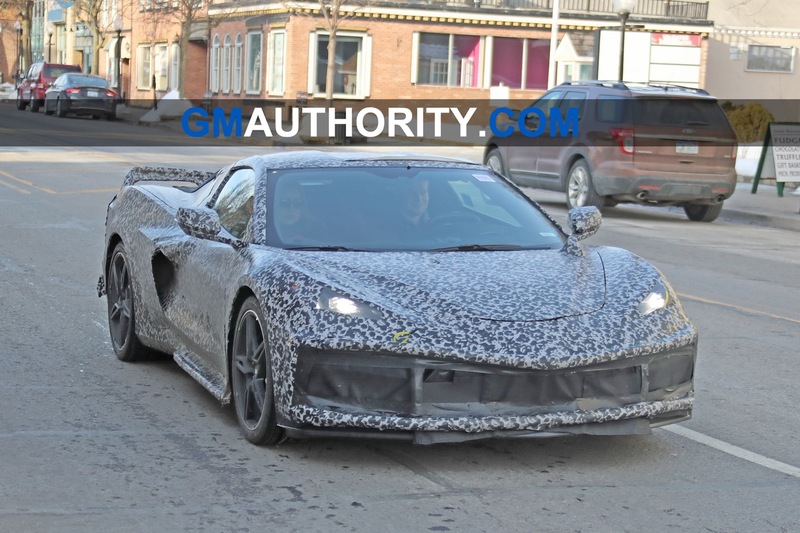 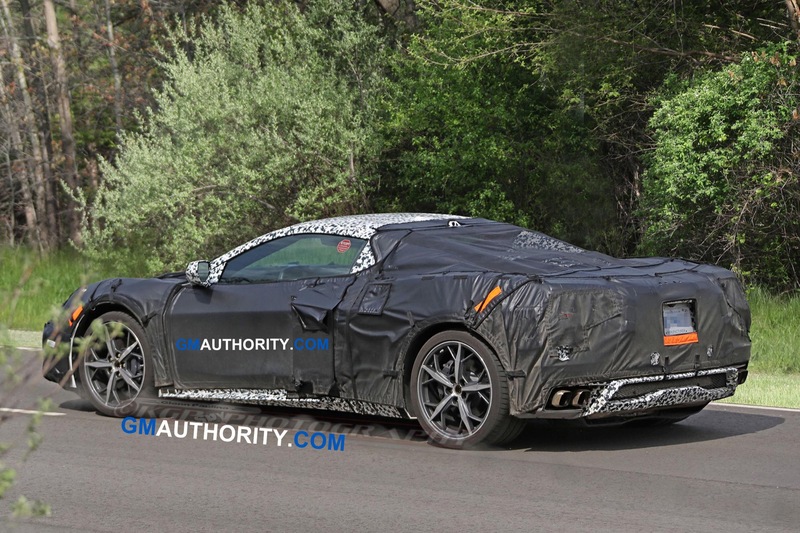 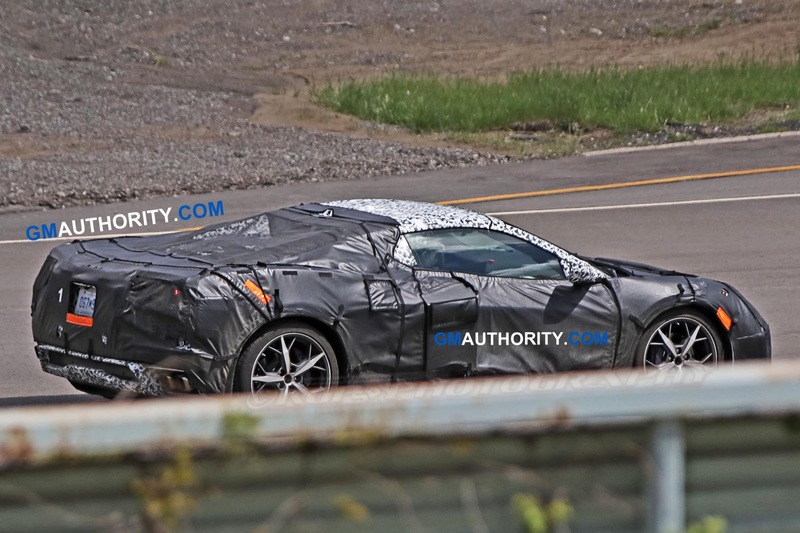 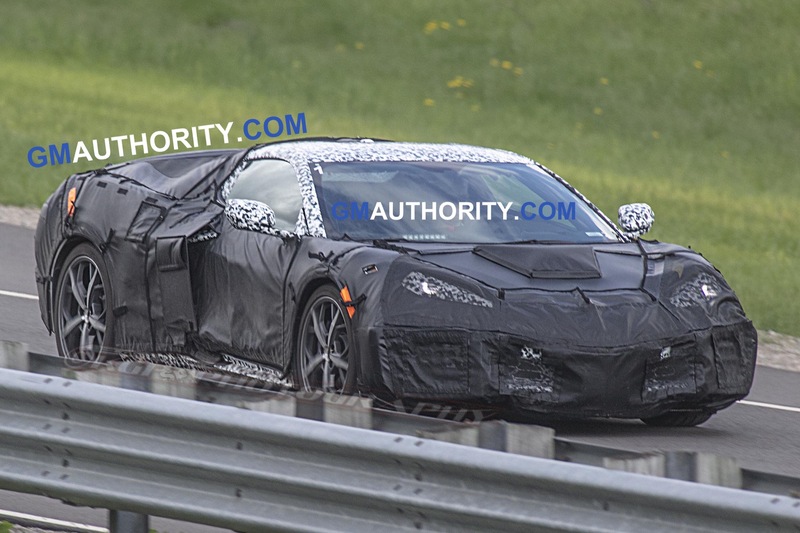 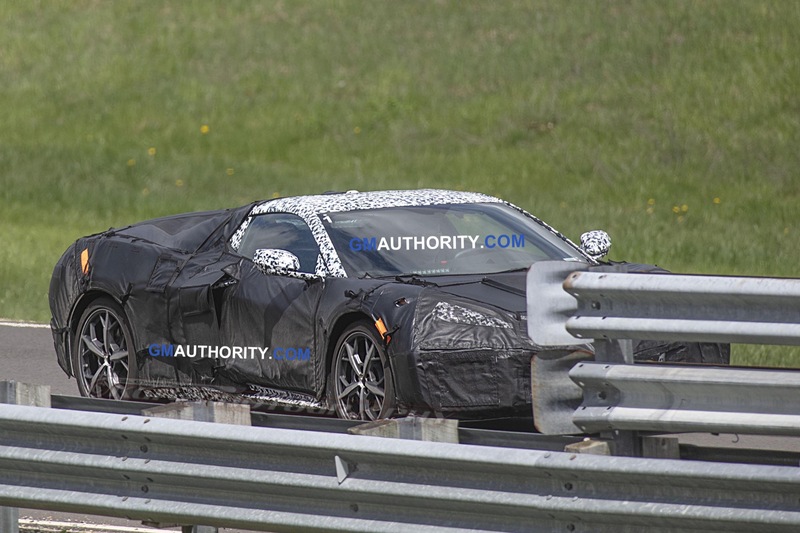 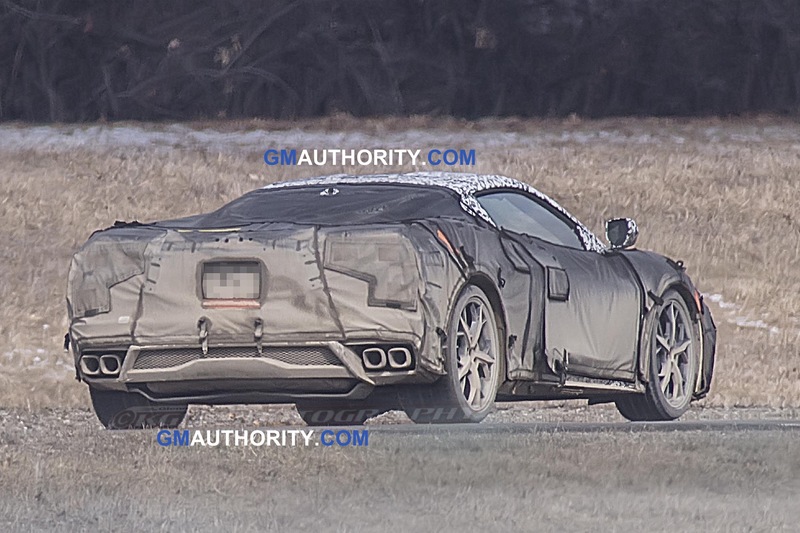 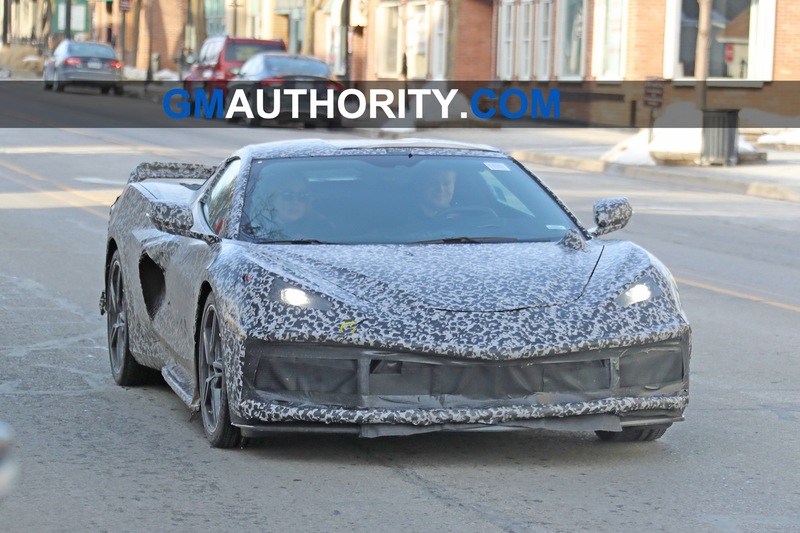 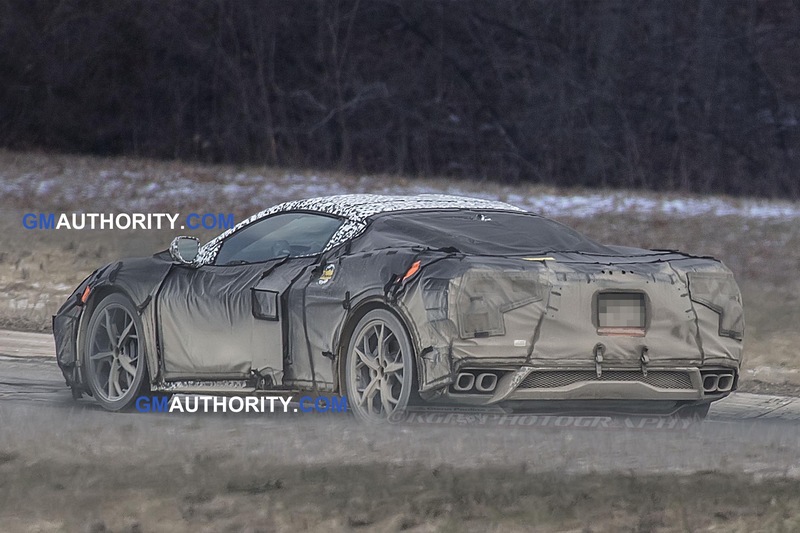 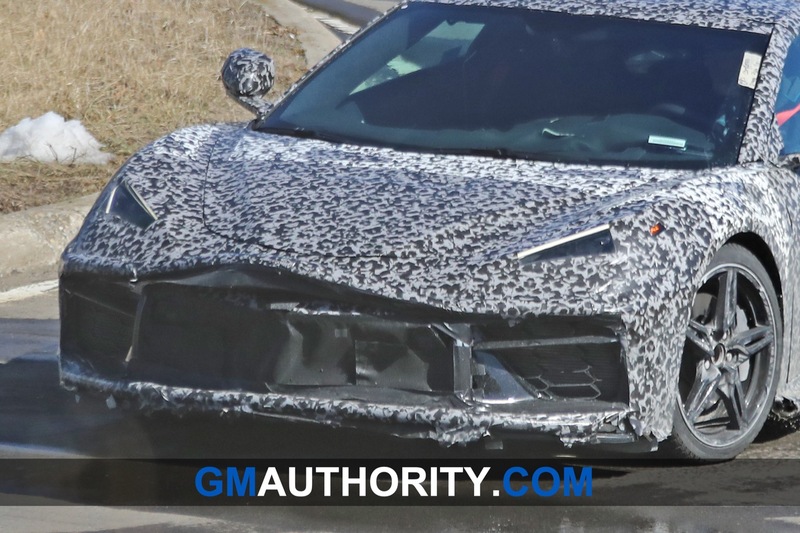 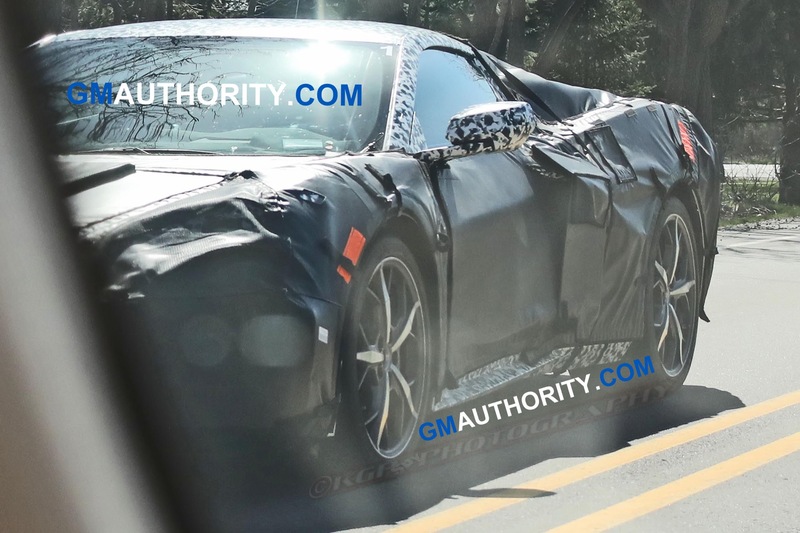 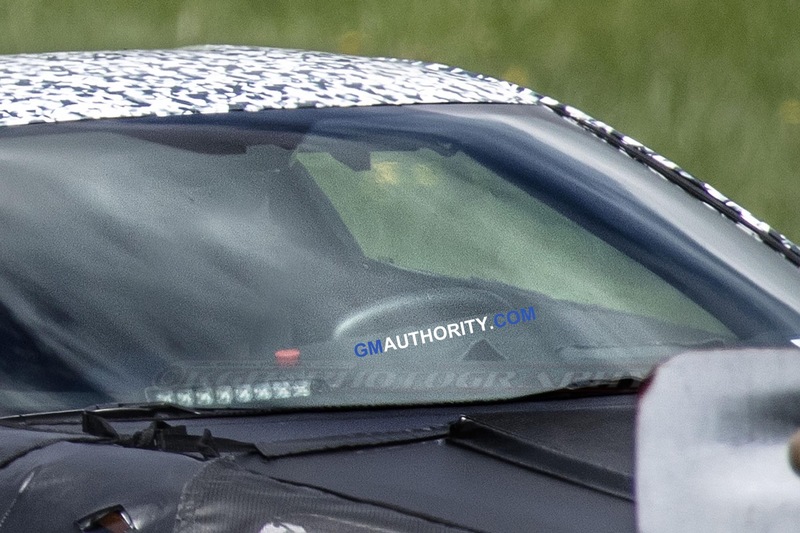 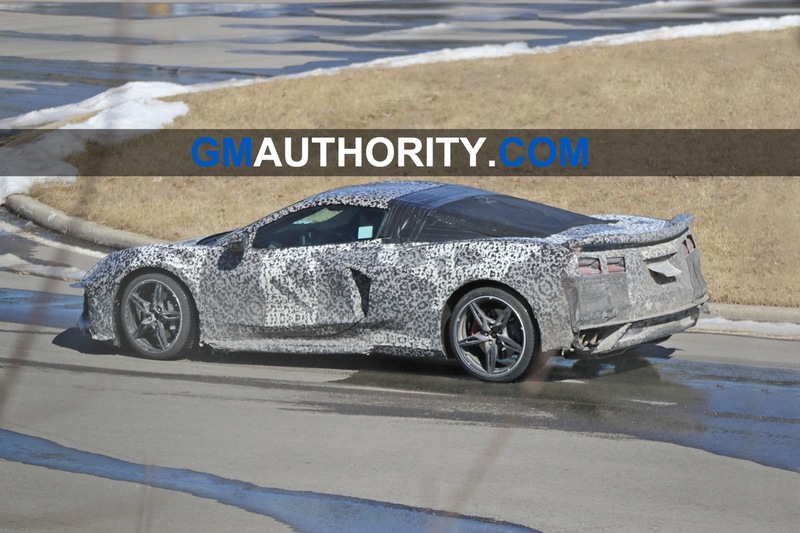 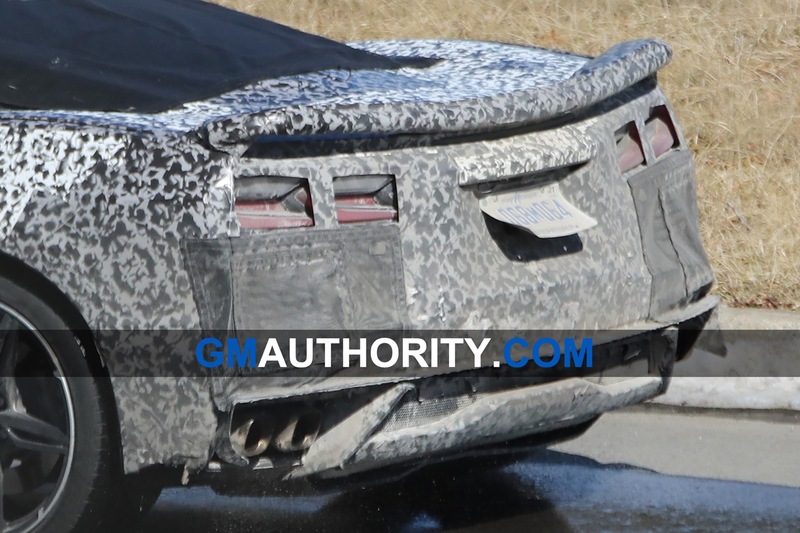 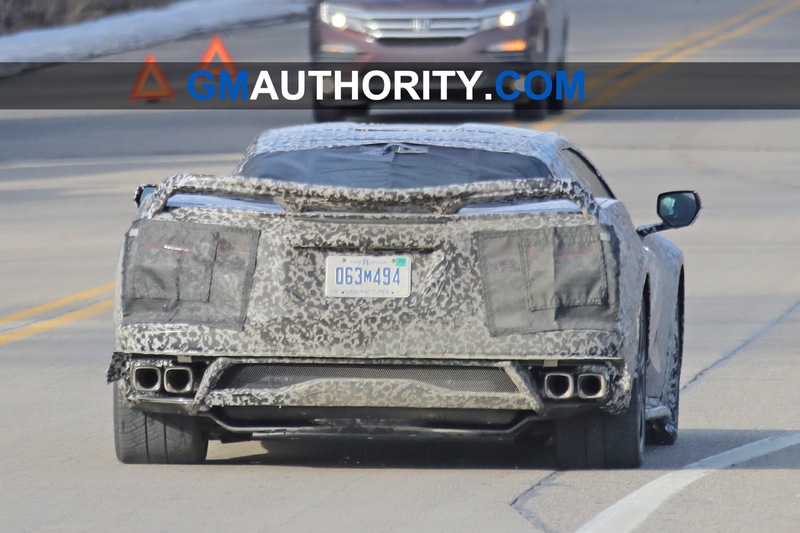 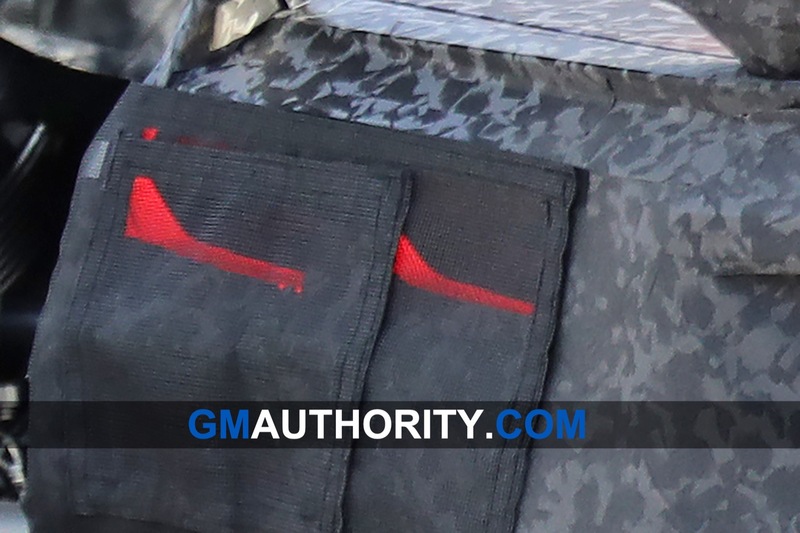 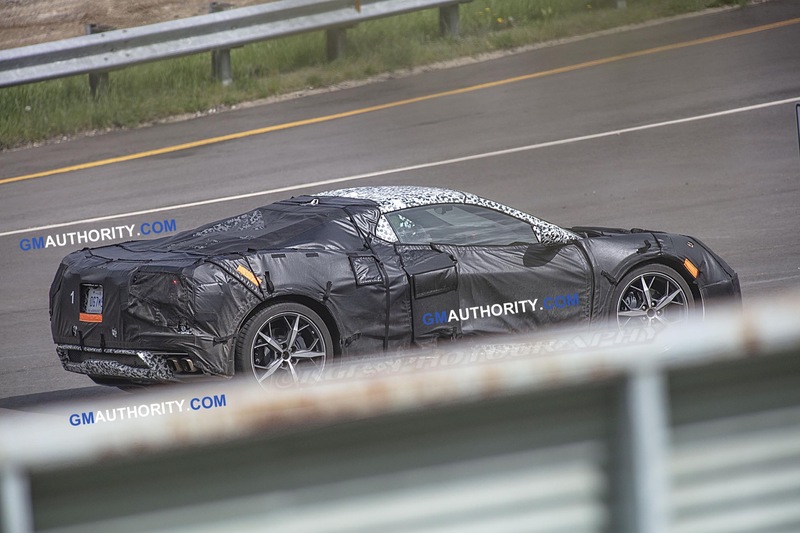 There’ve been plenty of leaks, too, like a leaked order guide late last month that suggests the C8 Corvette will feature the 6.2-liter LT2 V8 engine making more than 460 horsepower. 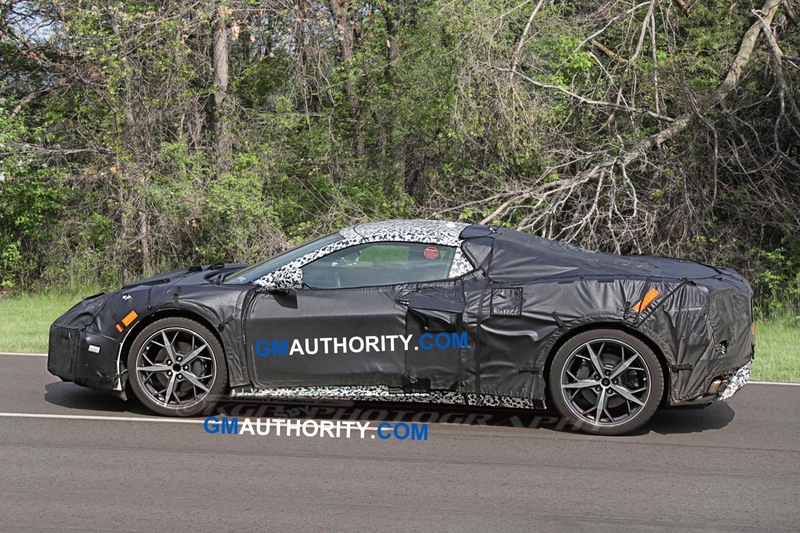 Like the LT1, it should have direct injection, variable-valve timing, and Active Fuel Management. 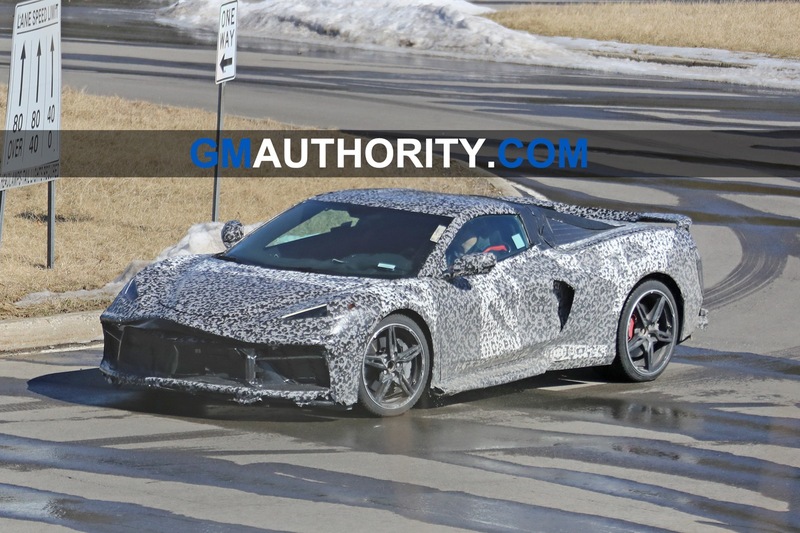 Rumors persist that the base version of the car will only see a slight price increase over the base front-engine Corvette C7 on sale today. 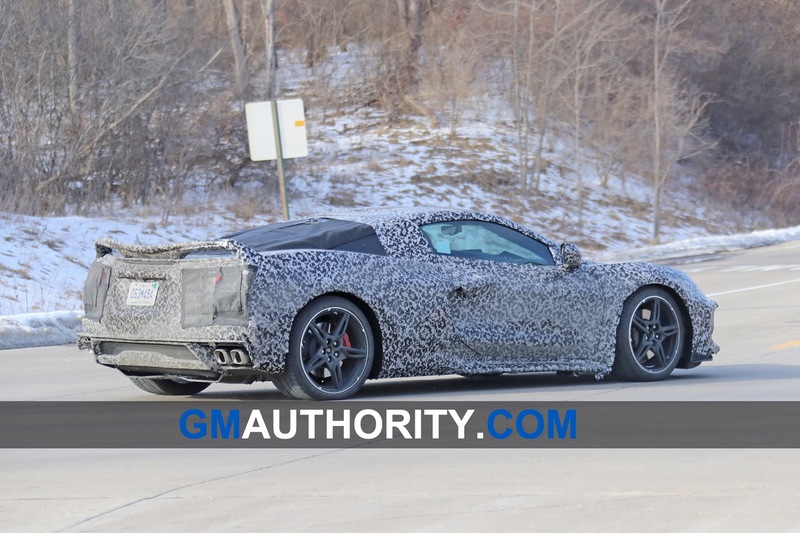 However, GM allegedly has plans for more than just a V8 version. 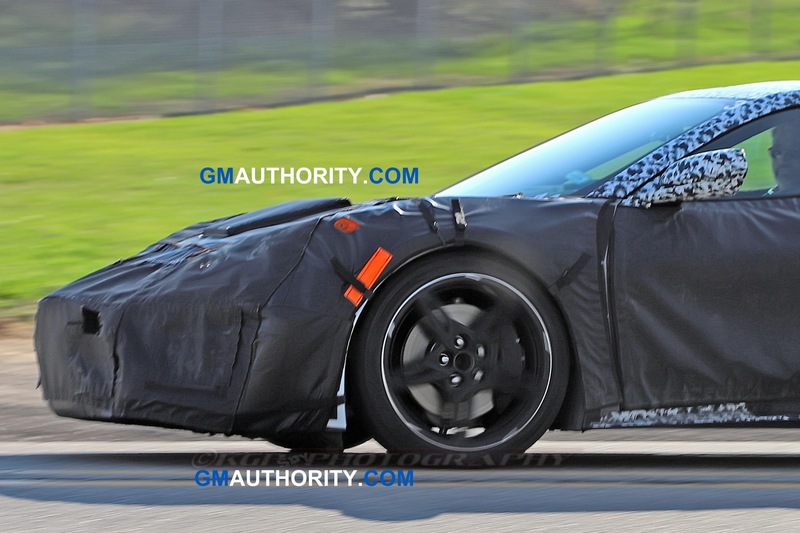 Rumors are circulating that Chevy will eventually offer hybrid and electric versions of the new supercar. 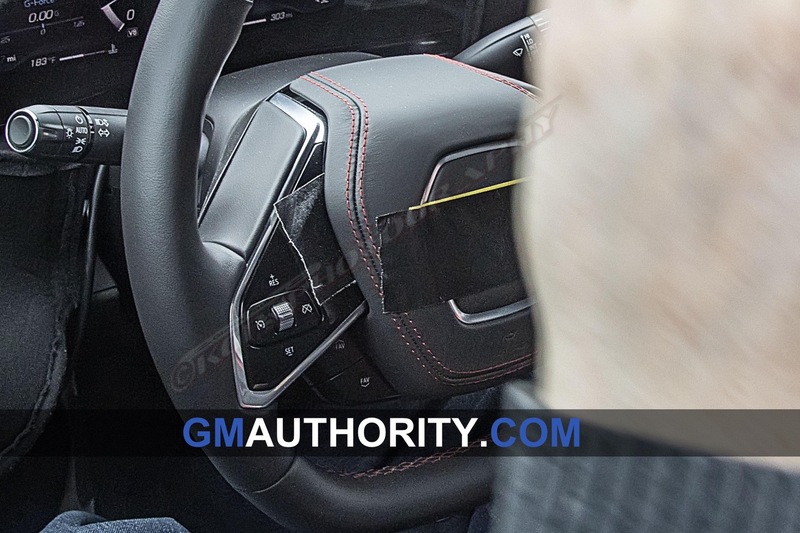 The order guide also showed things like an optional Z51 Performance suspension and Z51 Magnetic Selective Ride Control. 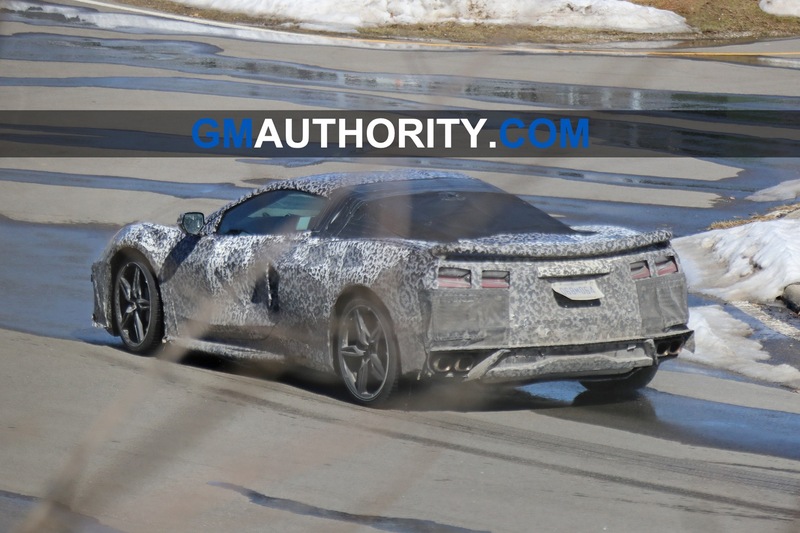 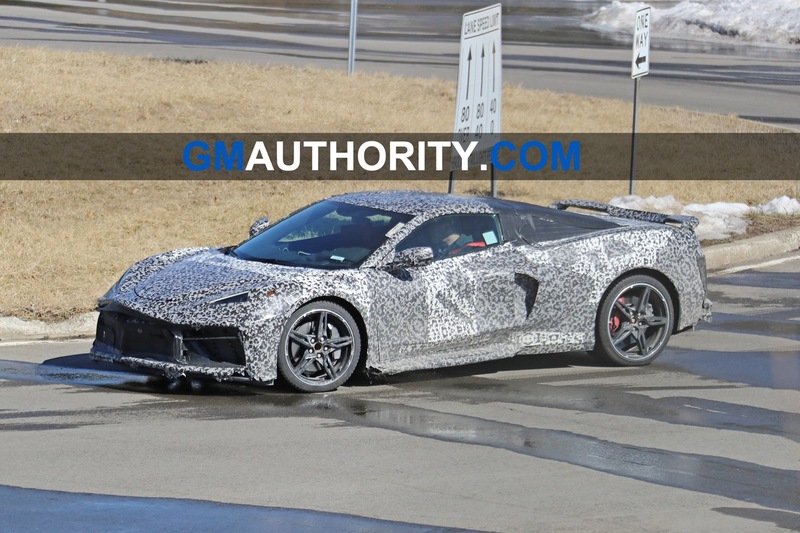 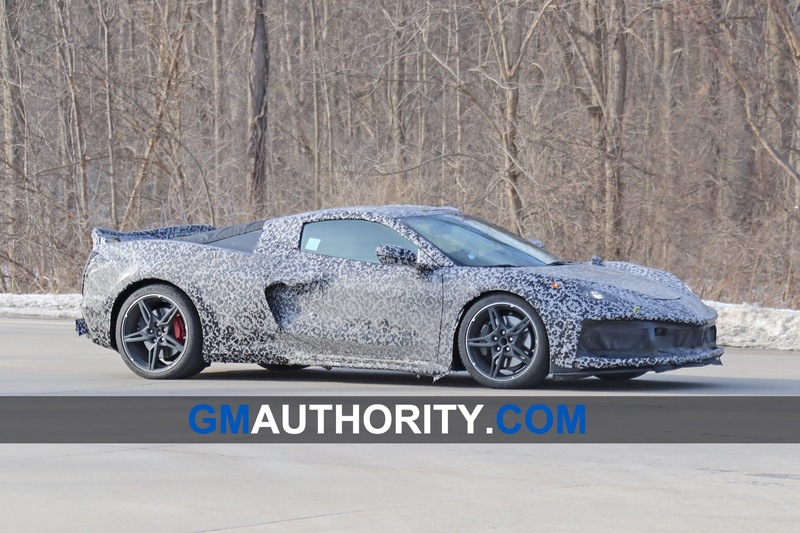 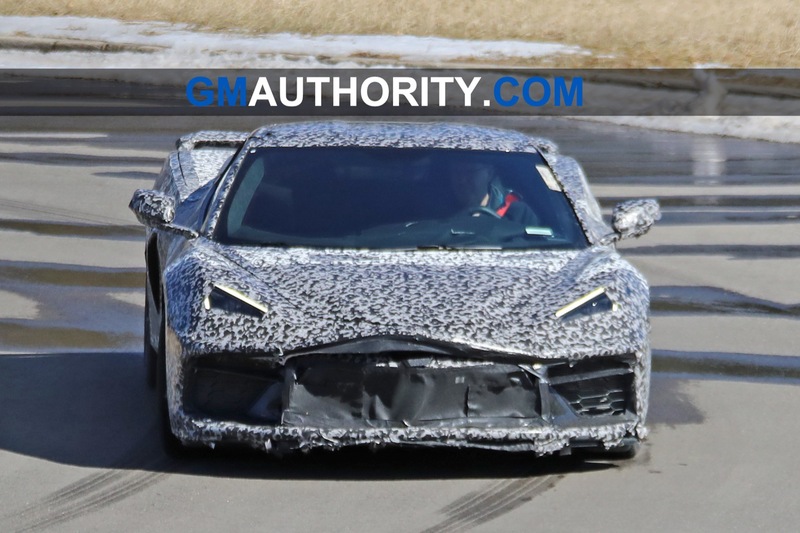 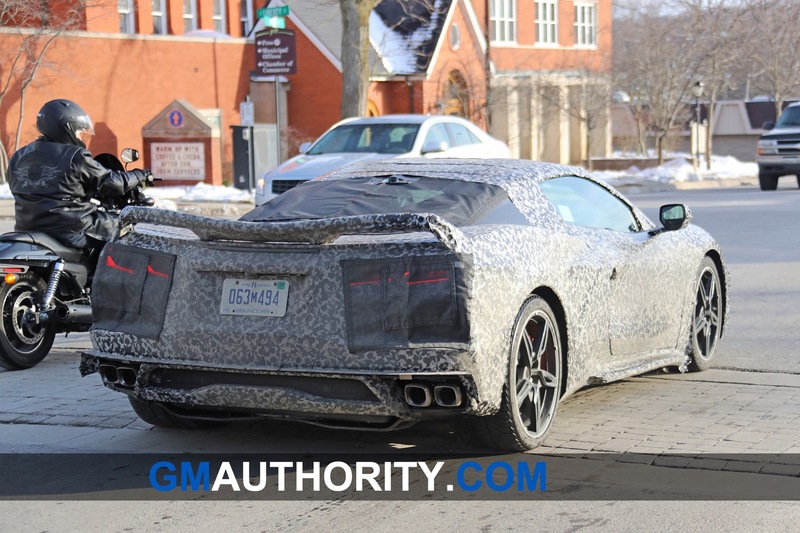 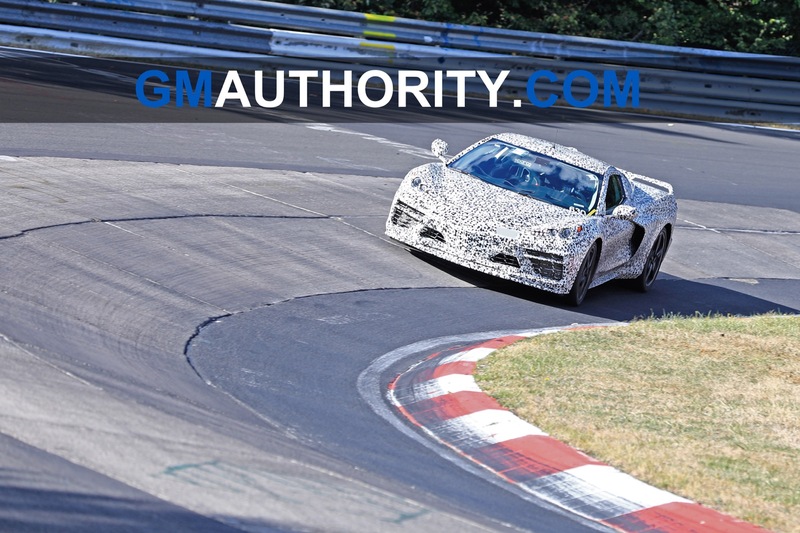 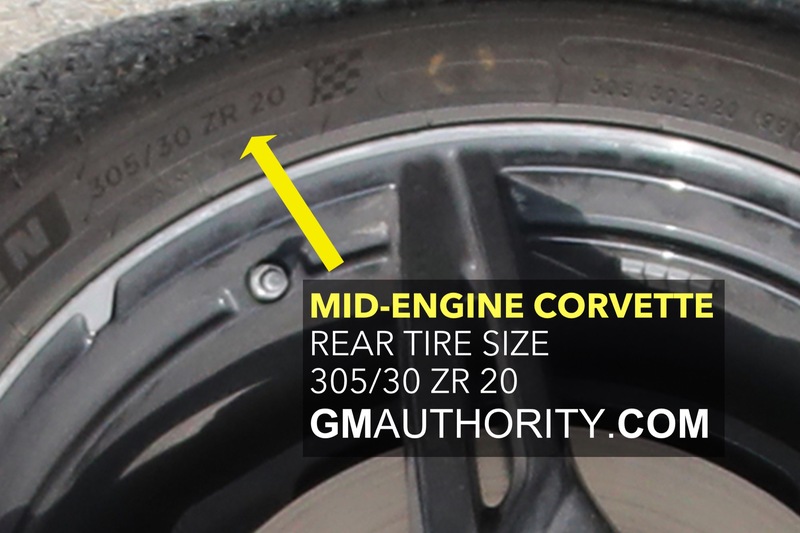 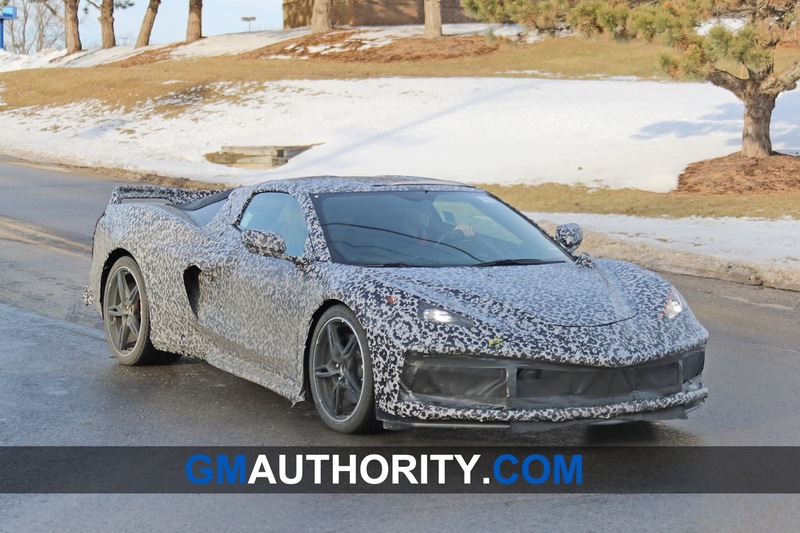 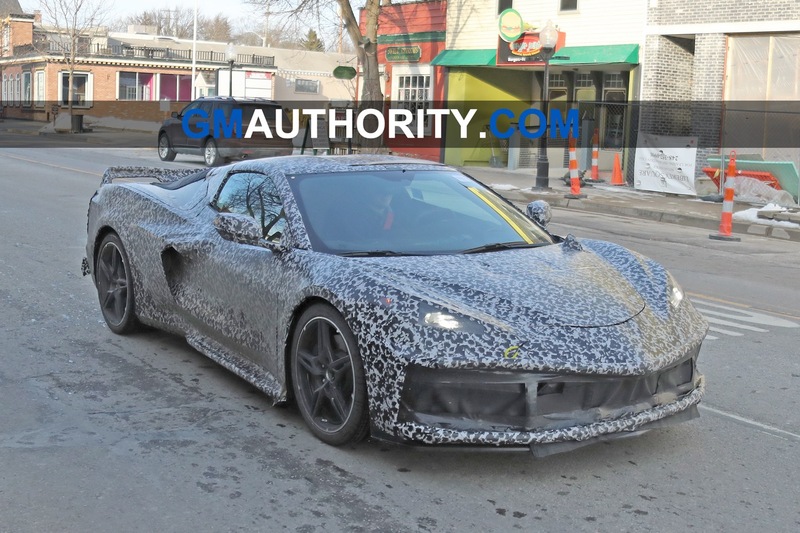 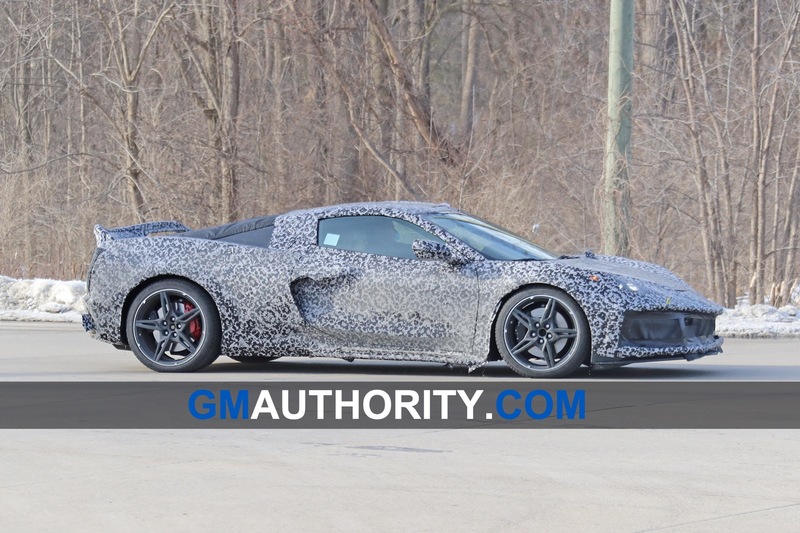 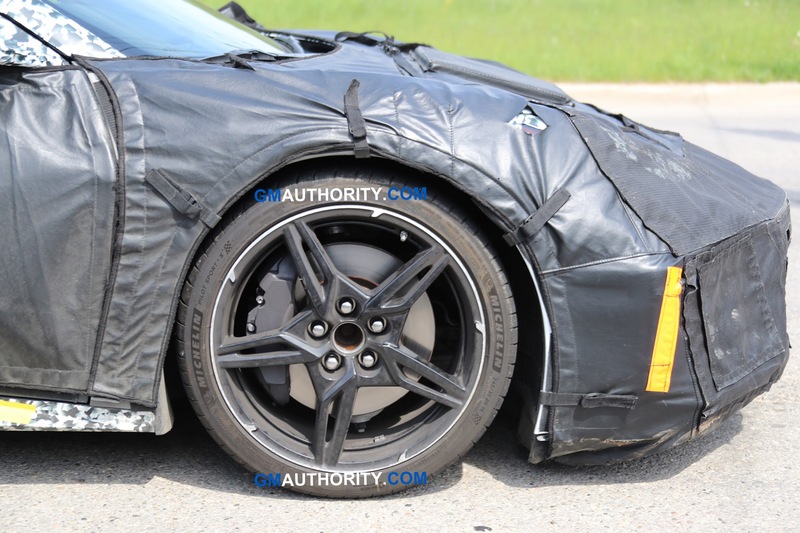 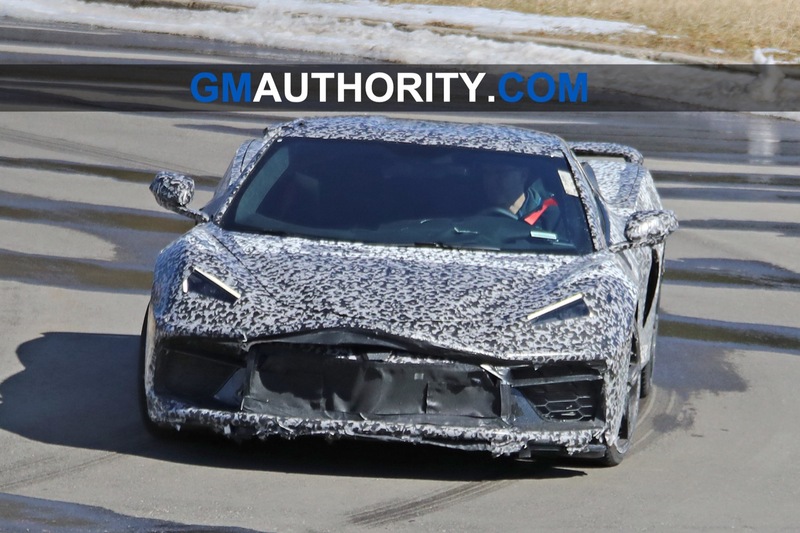 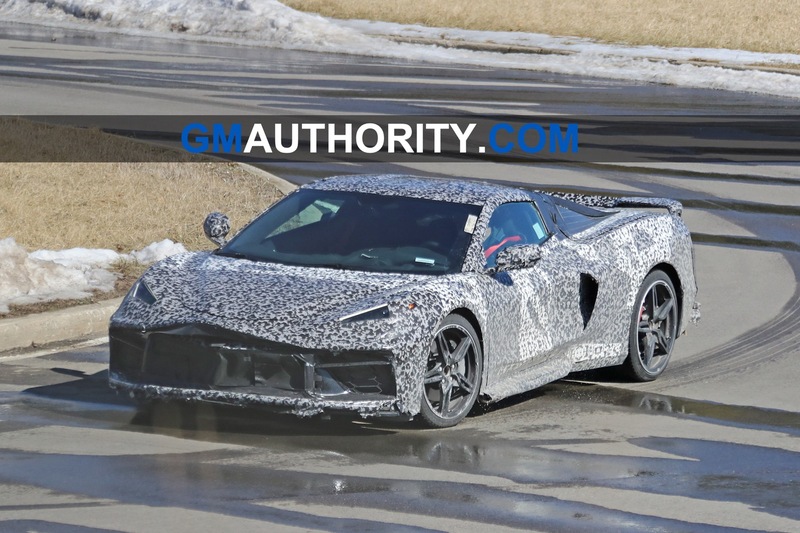 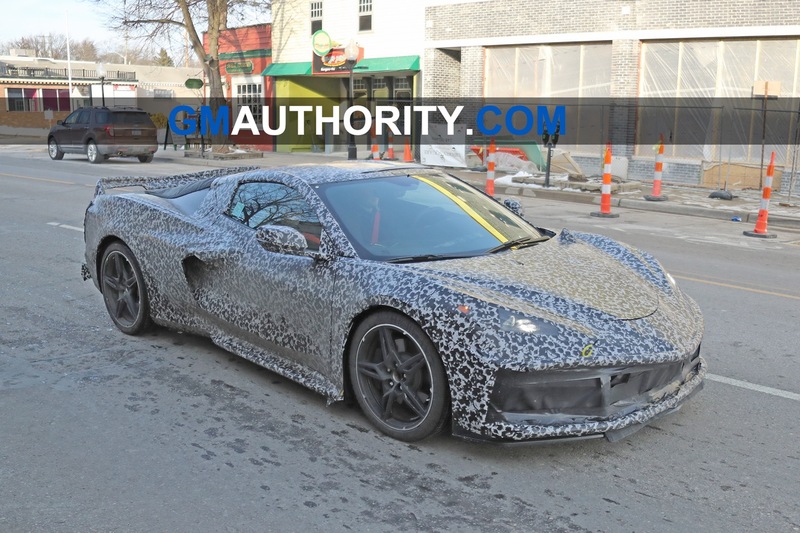 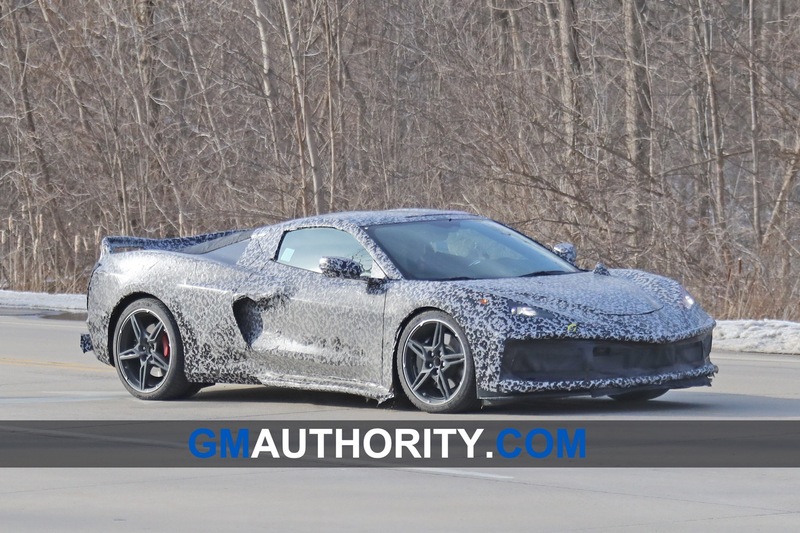 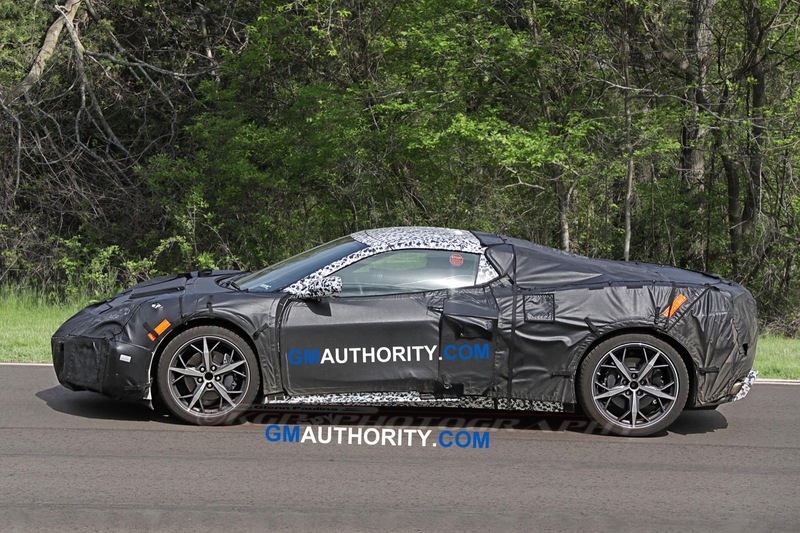 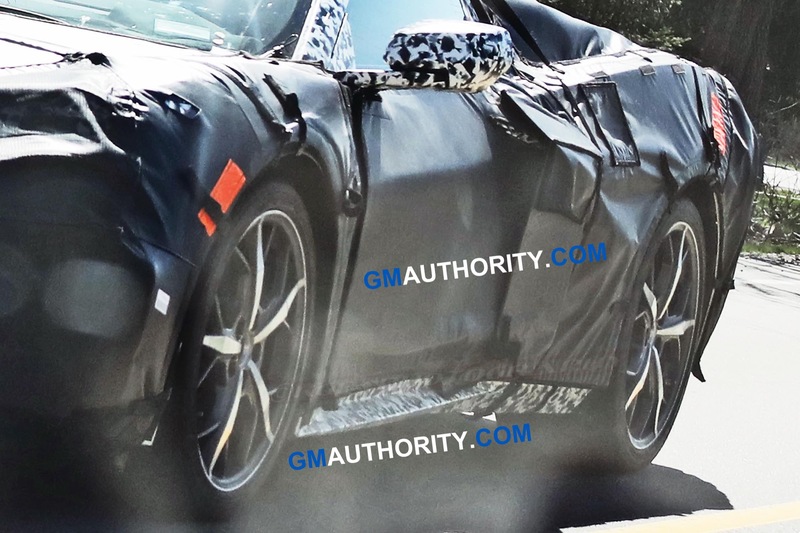 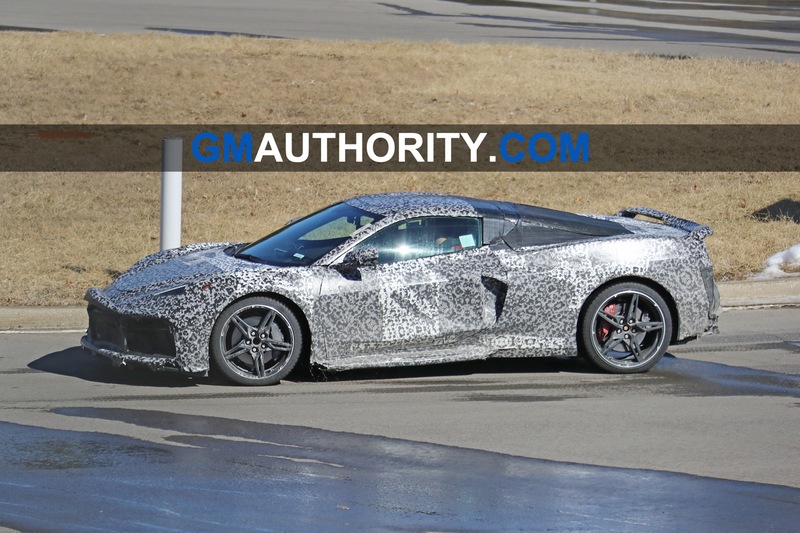 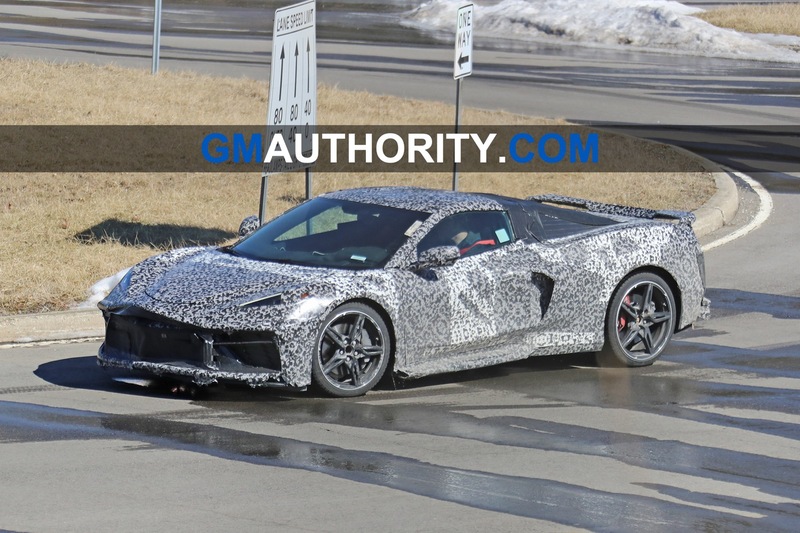 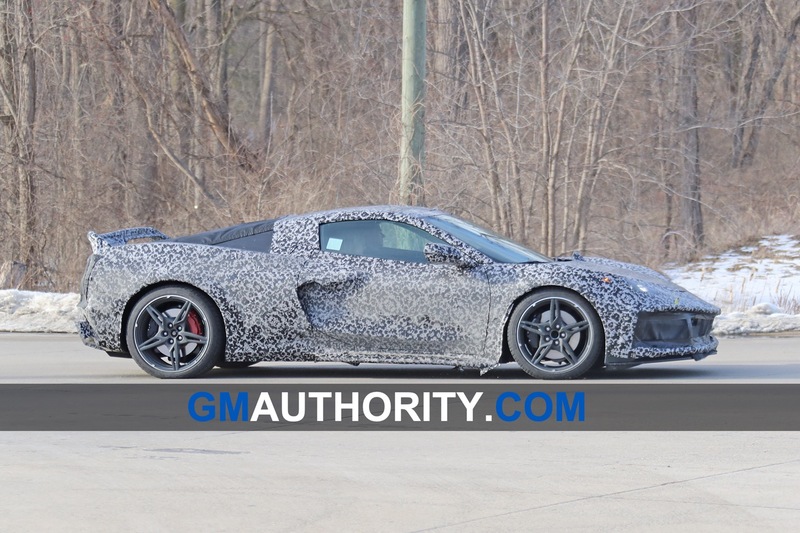 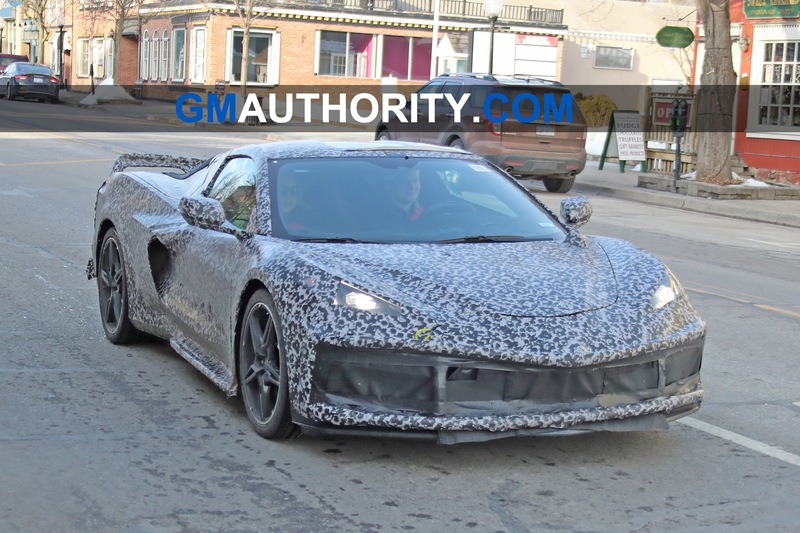 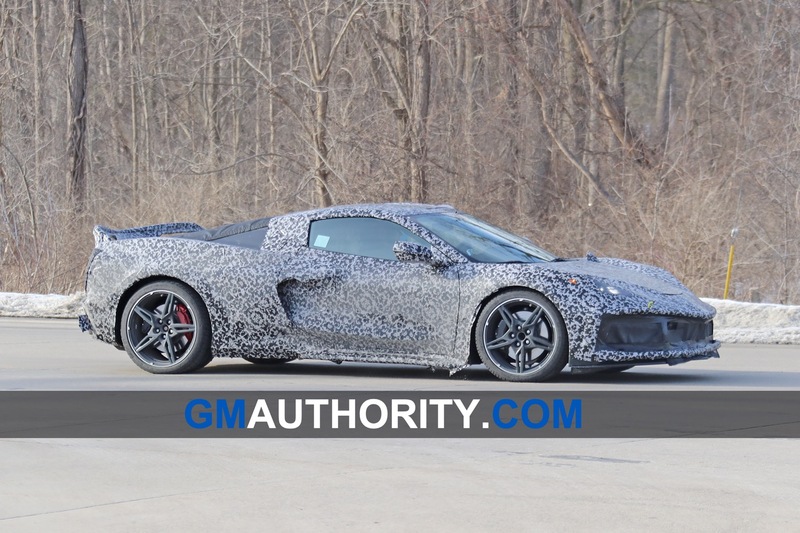 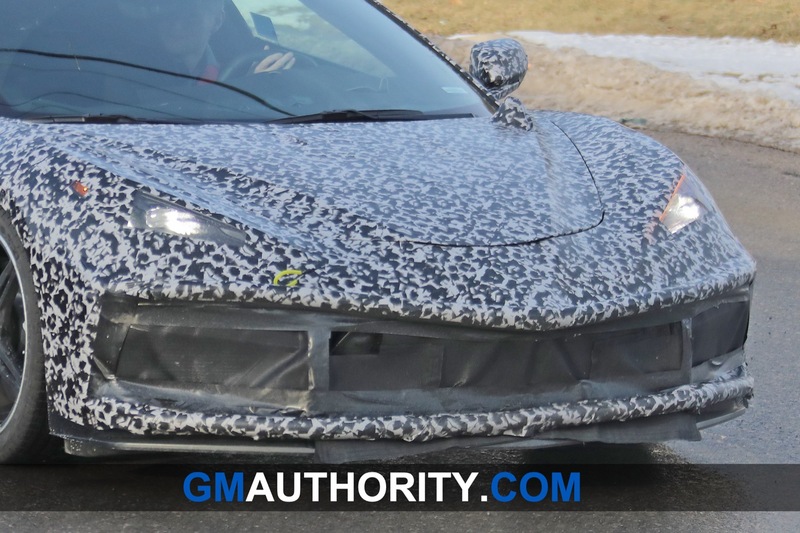 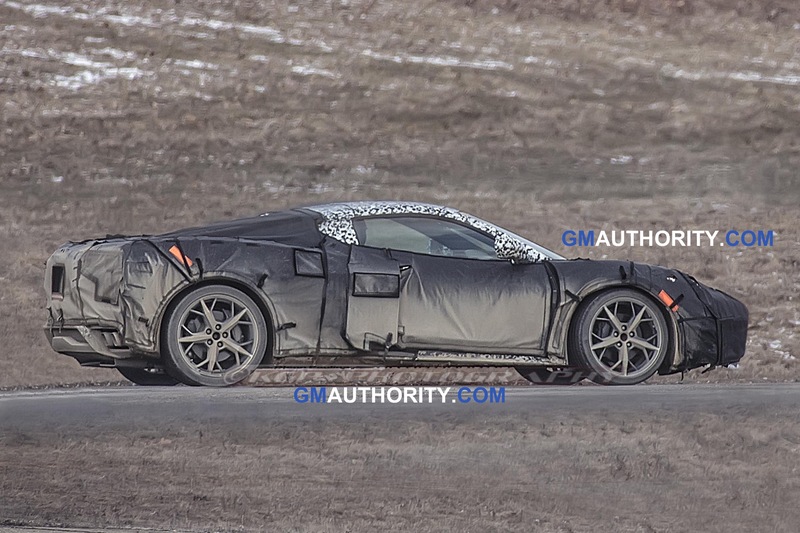 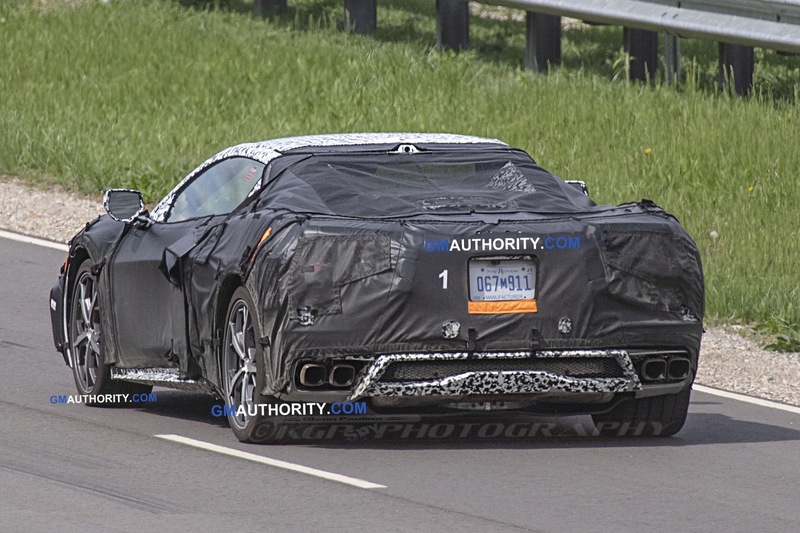 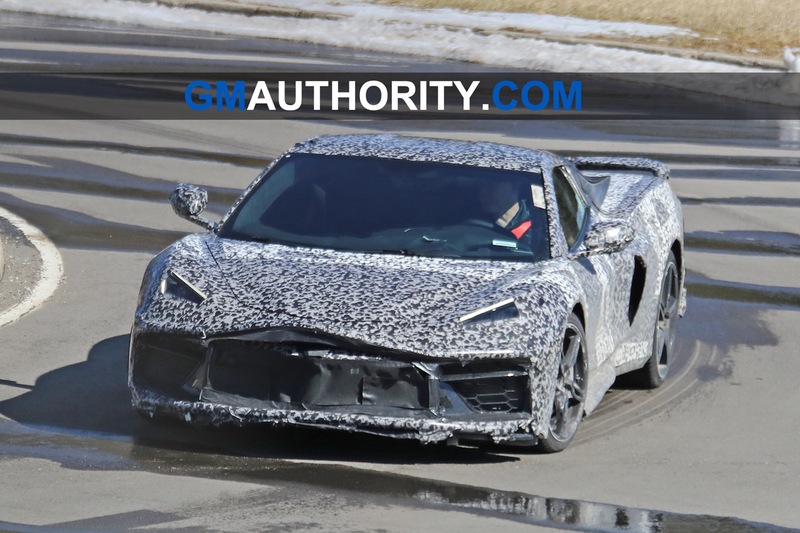 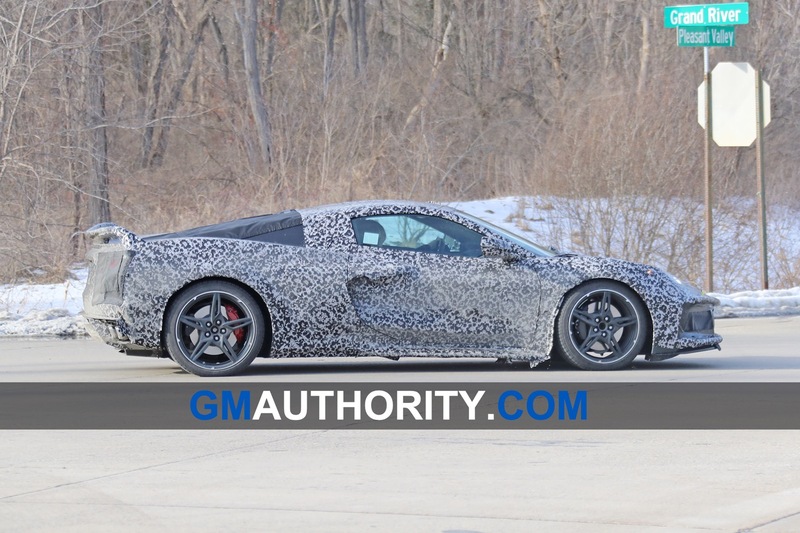 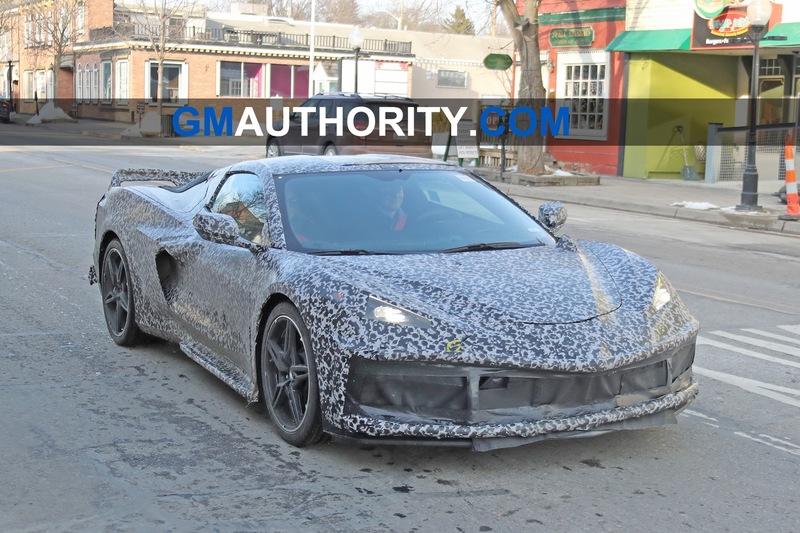 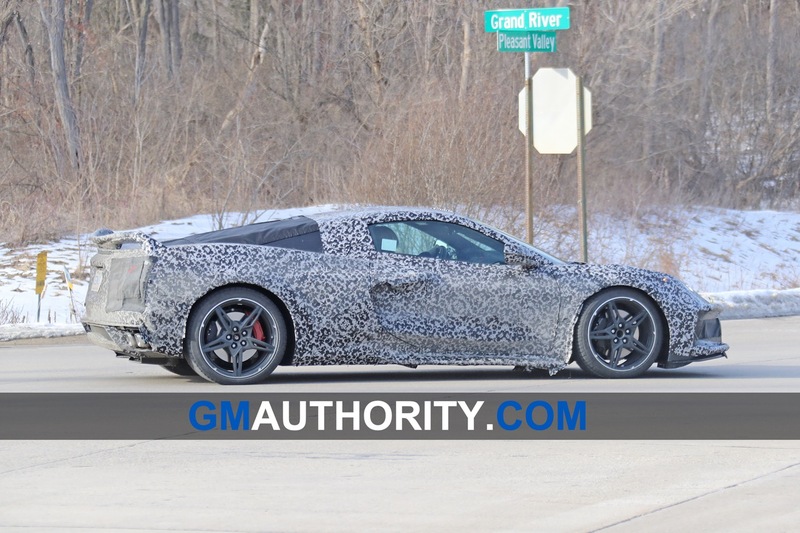 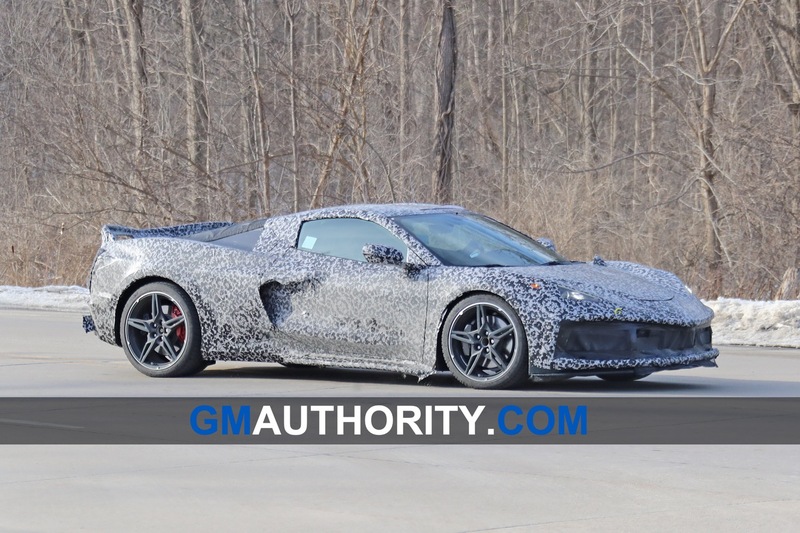 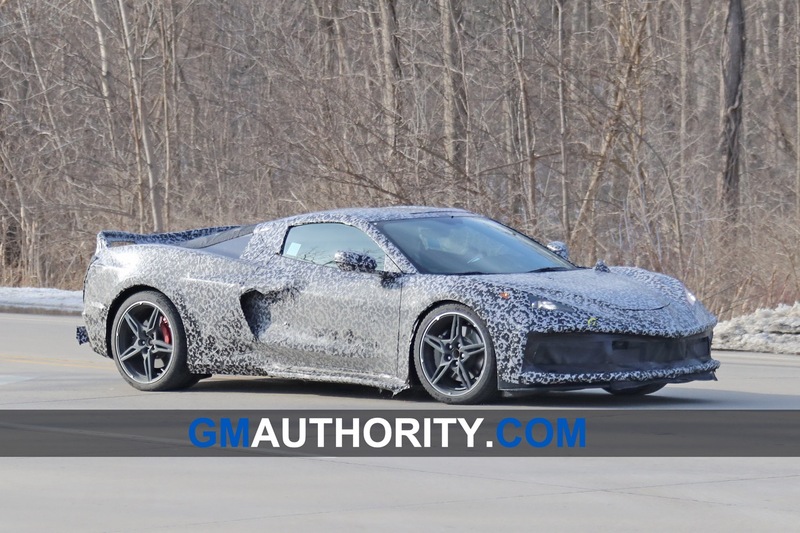 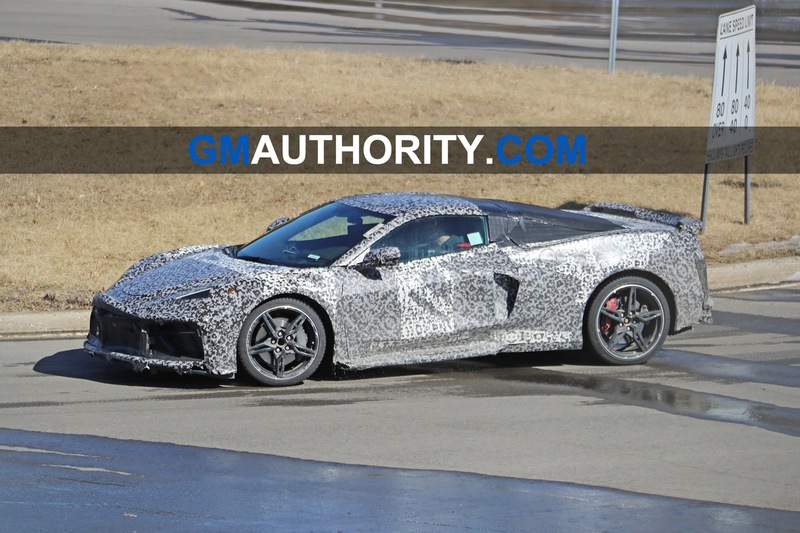 In addition, the C8 Corvette will likely also be available with an electronic limited slip differential, a Z51 brake package, the Performance Data Recorder, and much more. 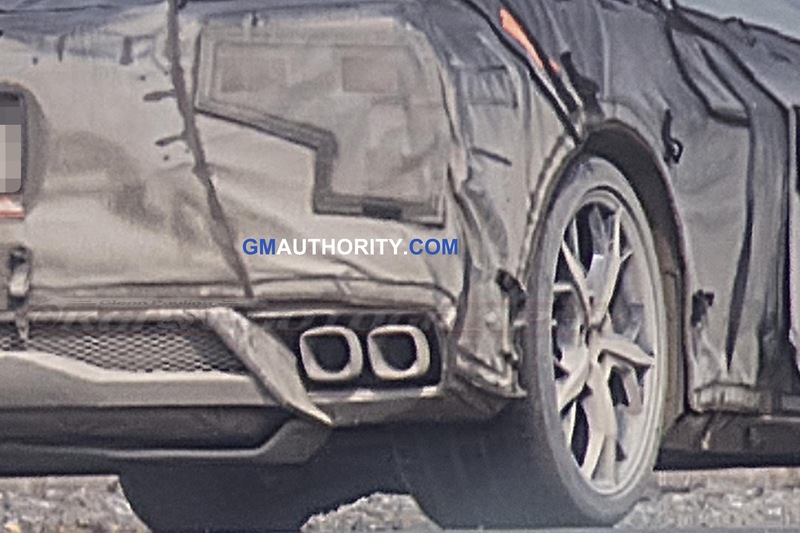 Right now, the rumor mill is running rampant, in no small part thanks to high-interest levels and, well, the Internet. 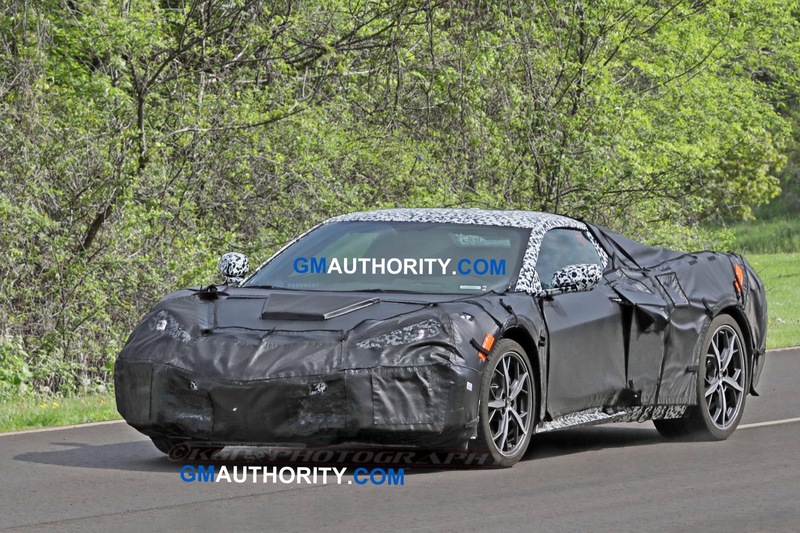 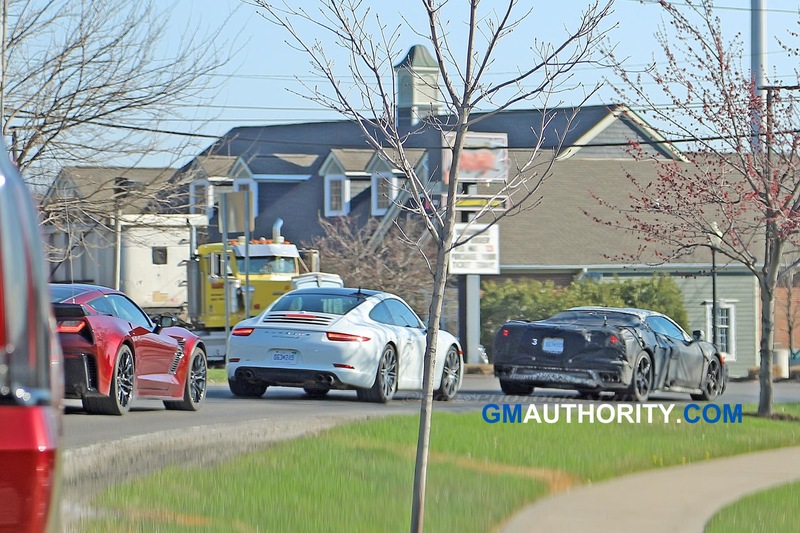 At the very least, we know when GM will reveal the new Corvette, but that doesn’t mean development is complete, as made evident by the video above showing three C8 Corvettes caravanning down a Kentucky highway, which is where the Corvette is built – at the GM Bowling Green plant. 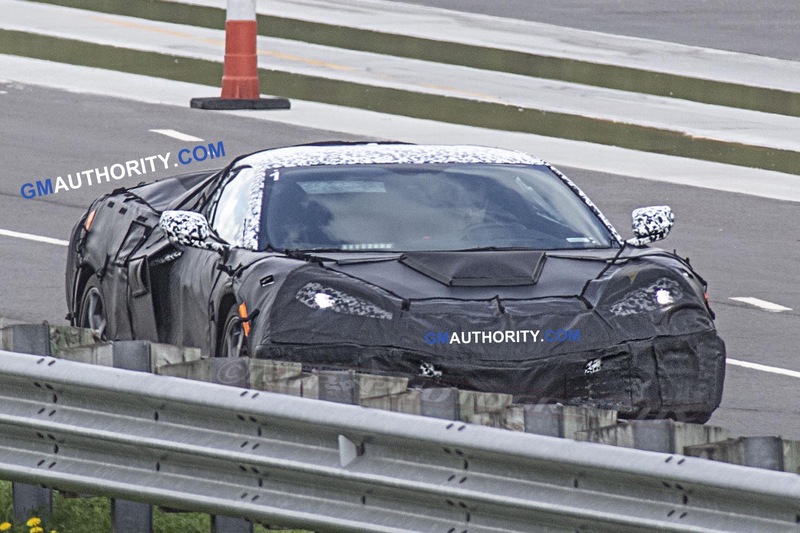 That said, perhaps these are initial pre-production models undergoing quality control testing. 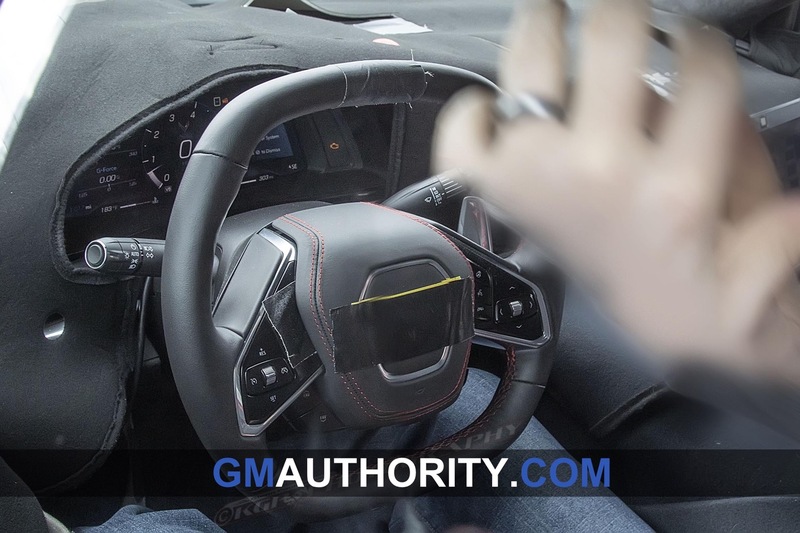 Nevertheless, with all the hype surrounding the car, GM has a massive task of delivering a product that pleases all kinds of constituents, most importantly – those in the market for a dedicated sports car. 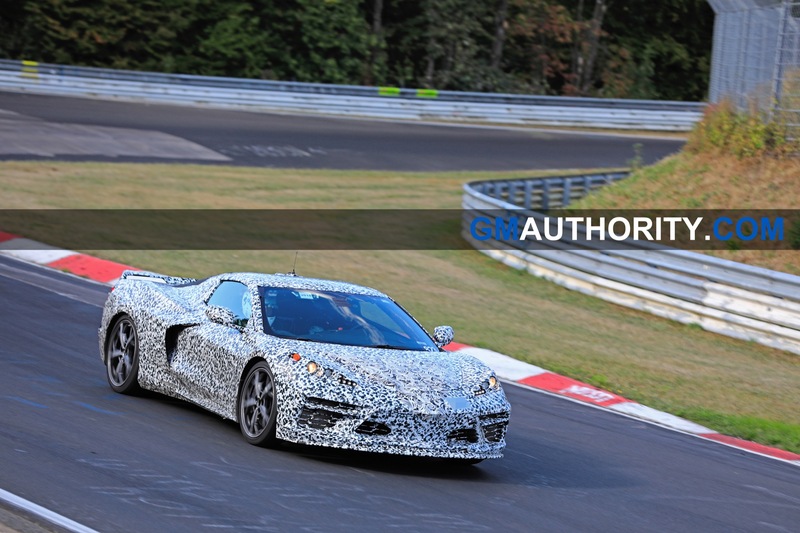 We have our fingers crossed that the automaker does just that. 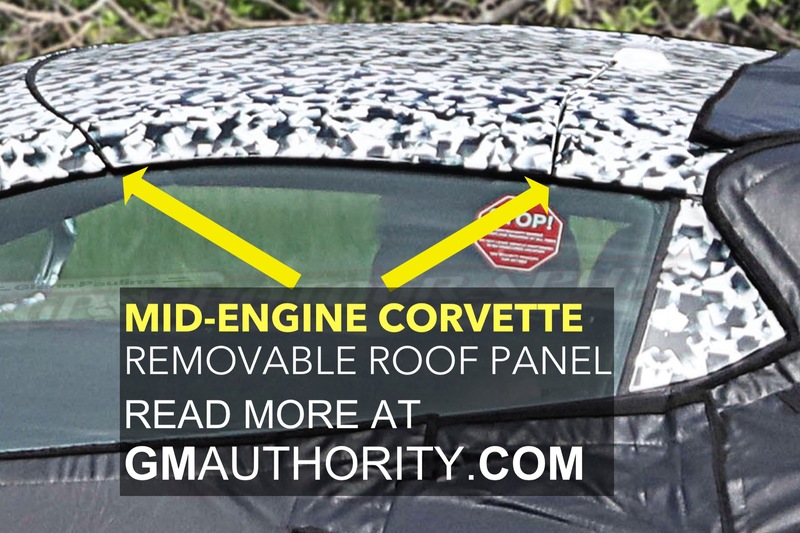 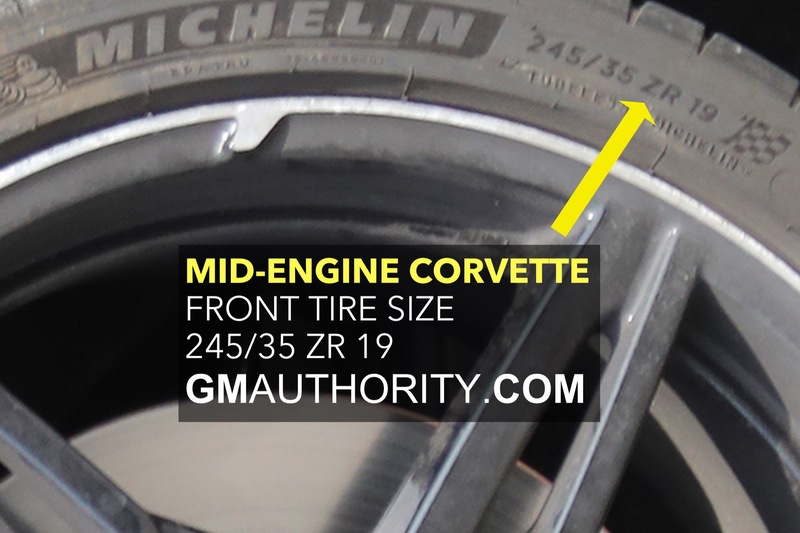 Subscribe to GM Authority (for free) for the latest Corvette news, Corvette C8 news, and mid-engine Corvette news, as well as around-the-clock GM news coverage. 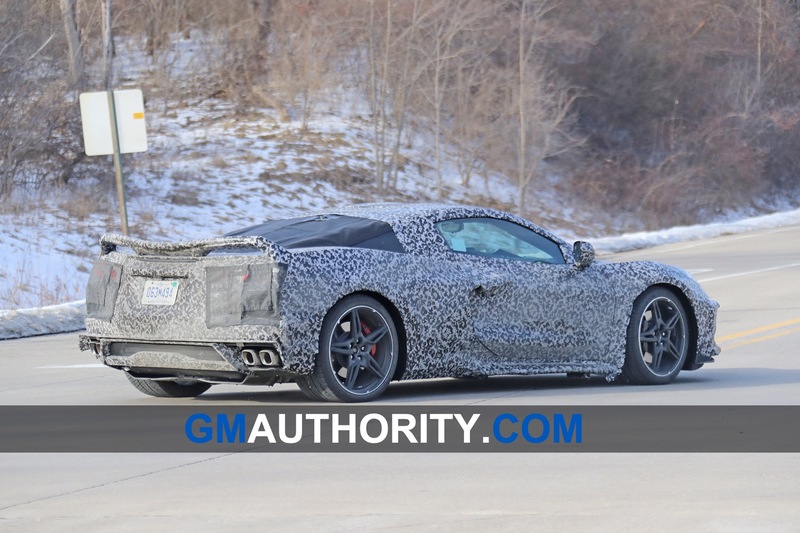 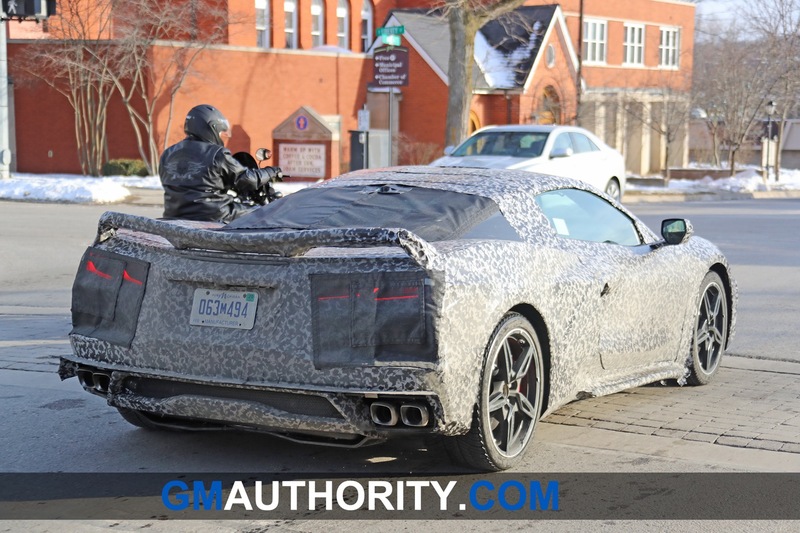 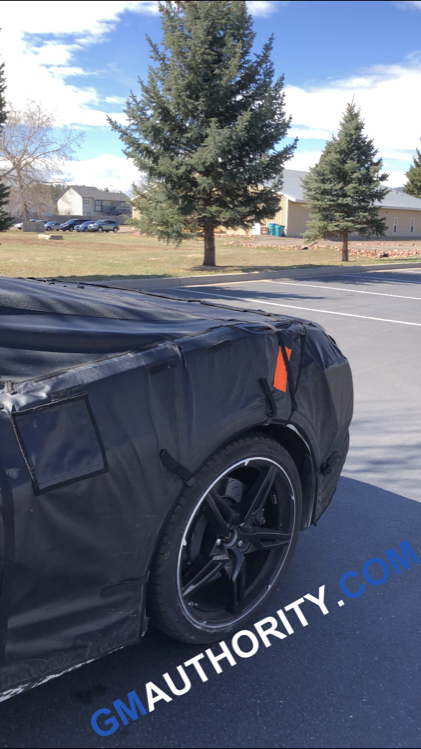 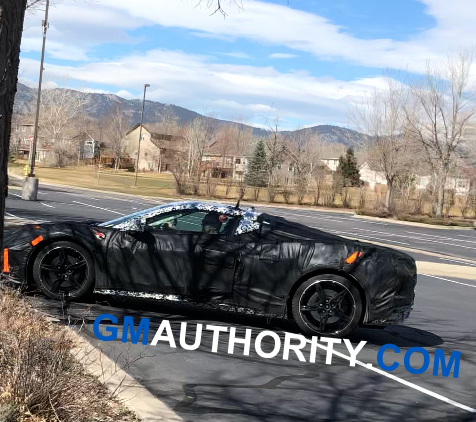 Each sighting of the C8 Corvette is news as it’s like Lockheed Martin’s F-35 as every sighting was a happening with everyone wanting to know what it was doing and how it looked. 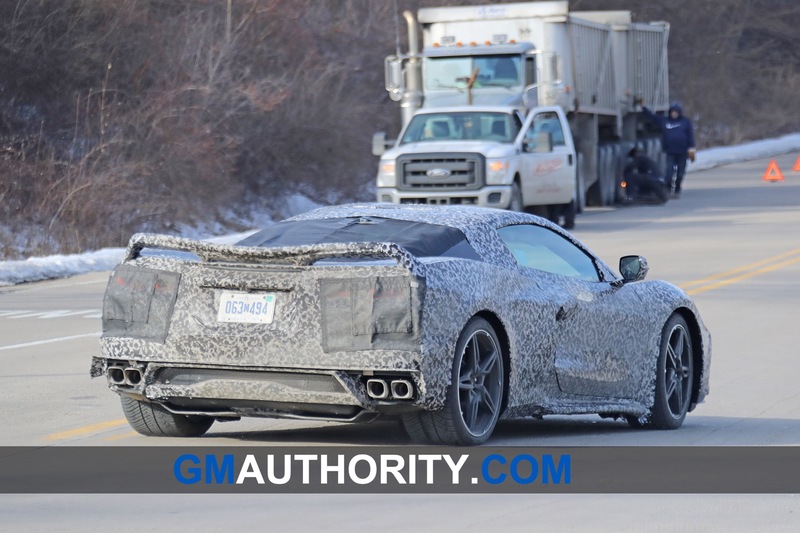 To be honest i don’t like the C8 that much. 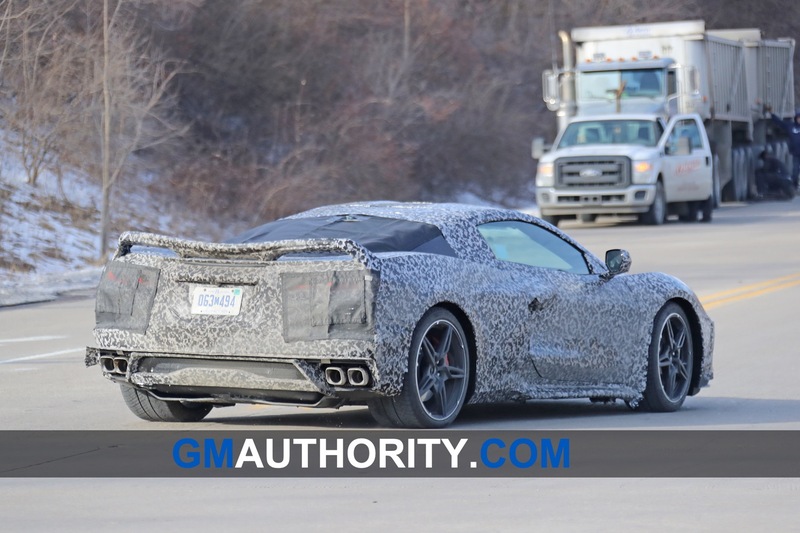 When i look at the new C8 i think of European cars. 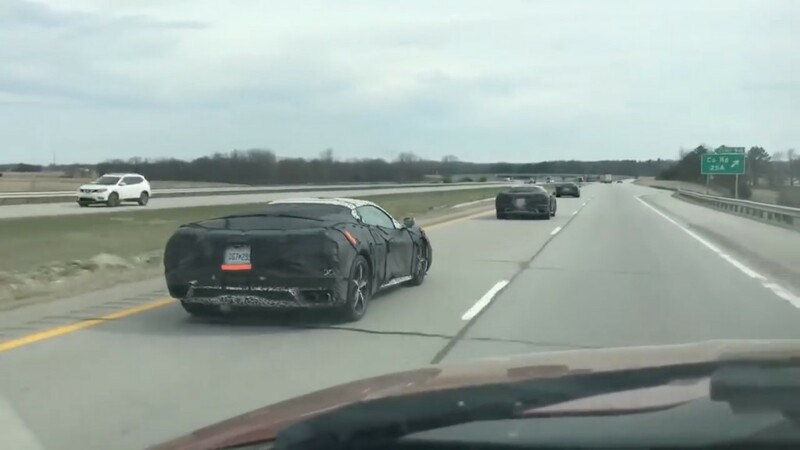 Also what happend? 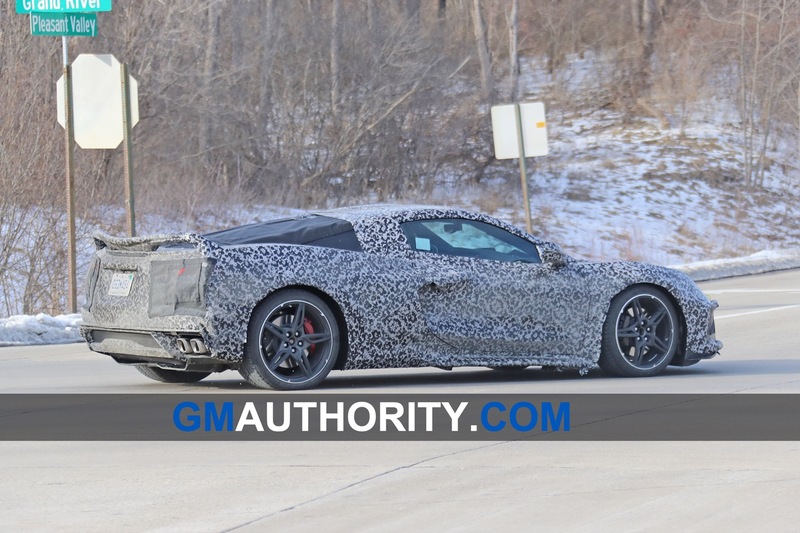 The way i remember the Corvette is America and V8 not Hybrid Electric.